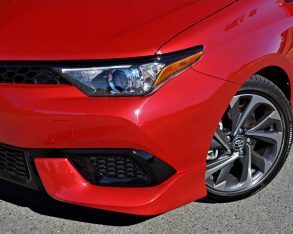 The Corolla Hatchback certainly appears like a worthy replacement, while to be honest the iM is probably starting to look a bit dated. 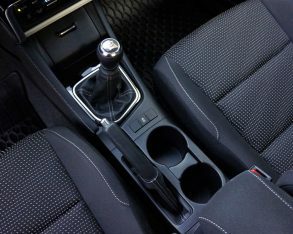 And let’s be fair. 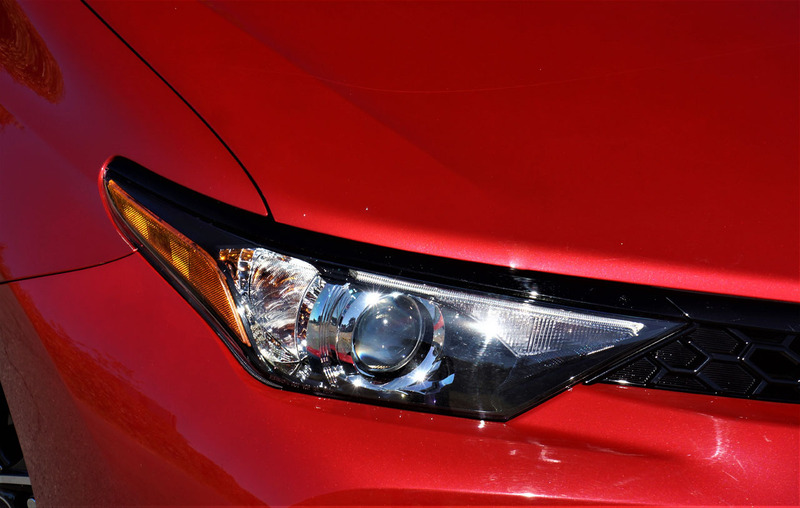 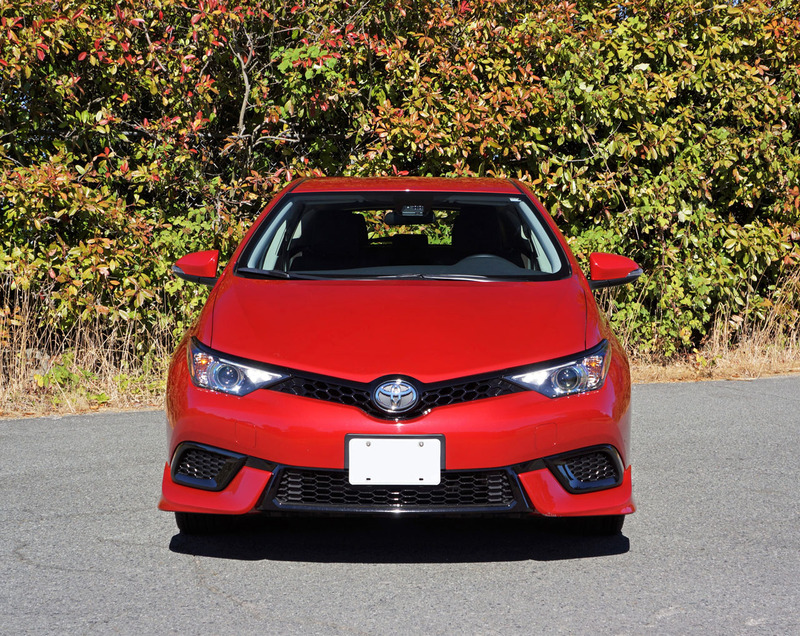 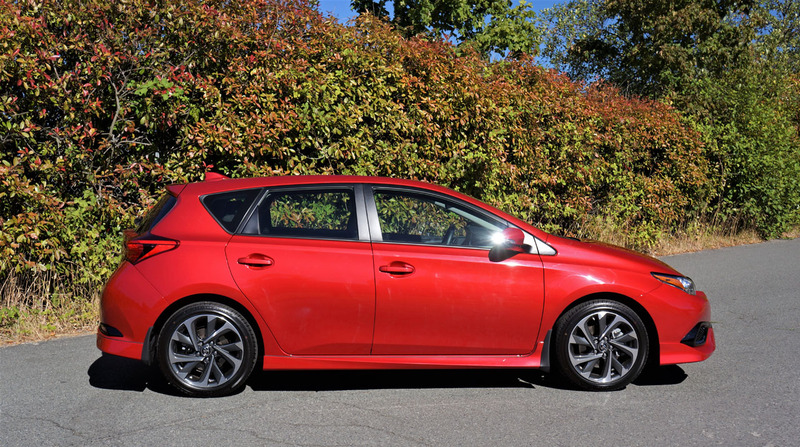 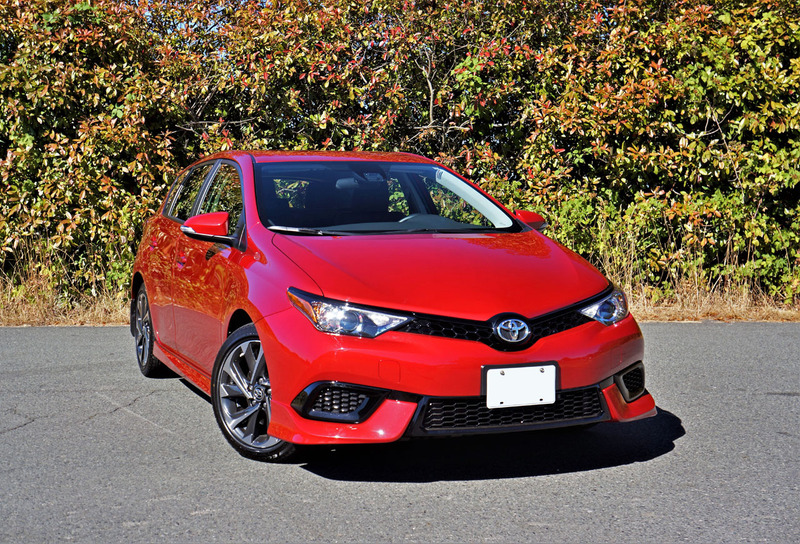 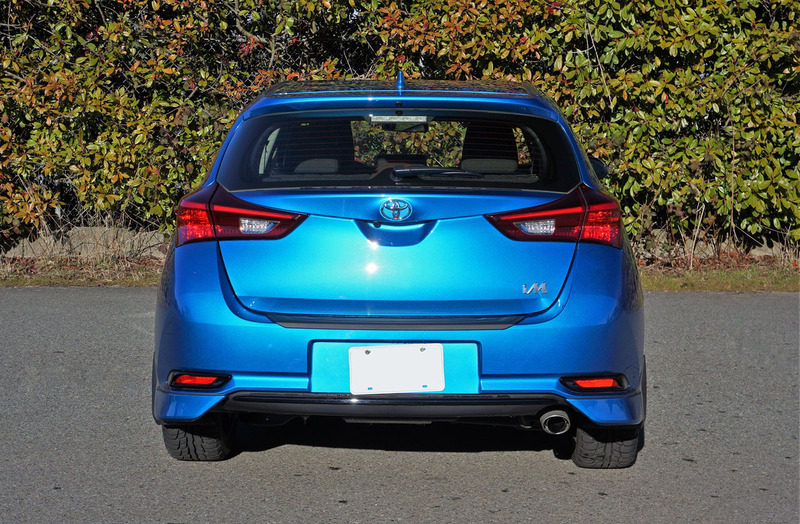 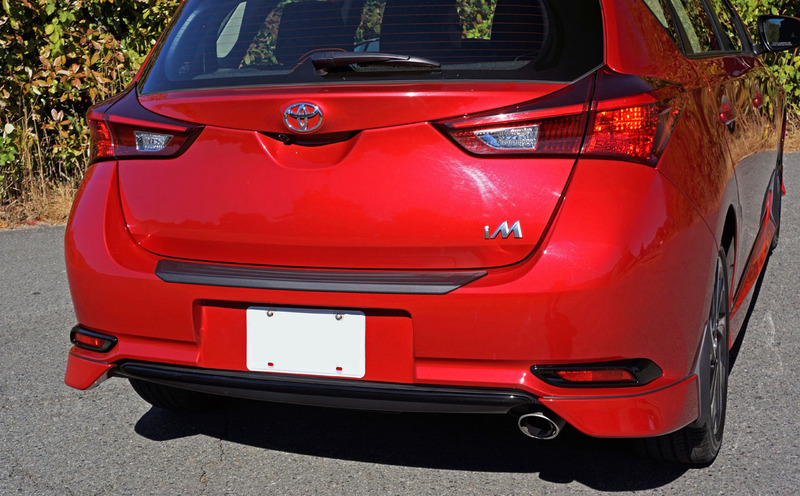 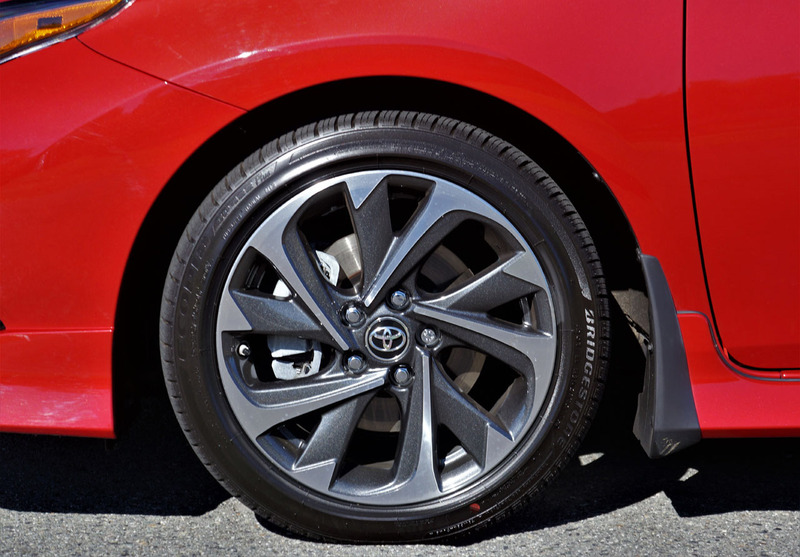 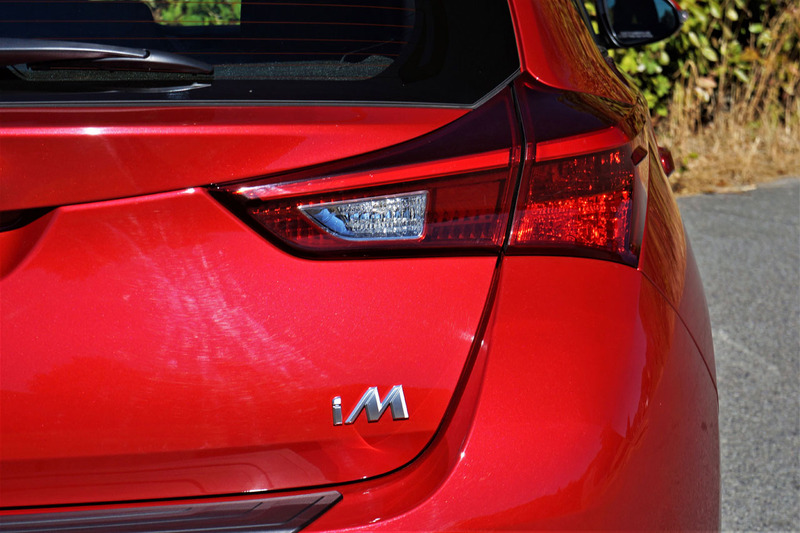 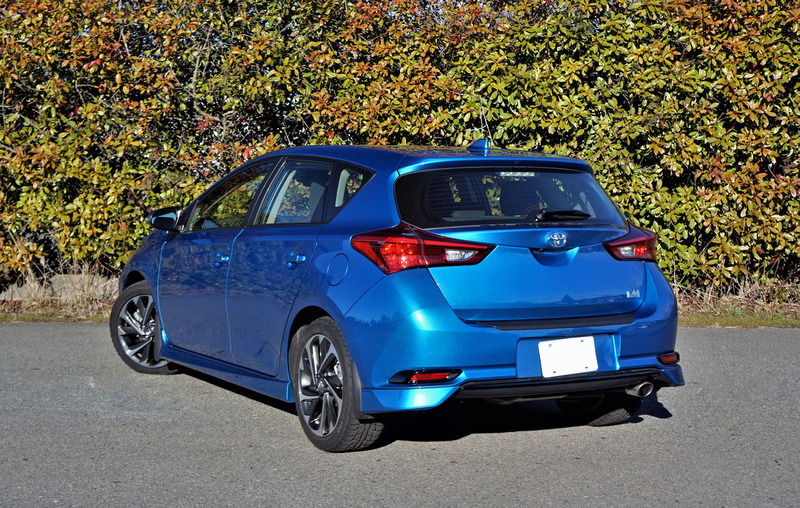 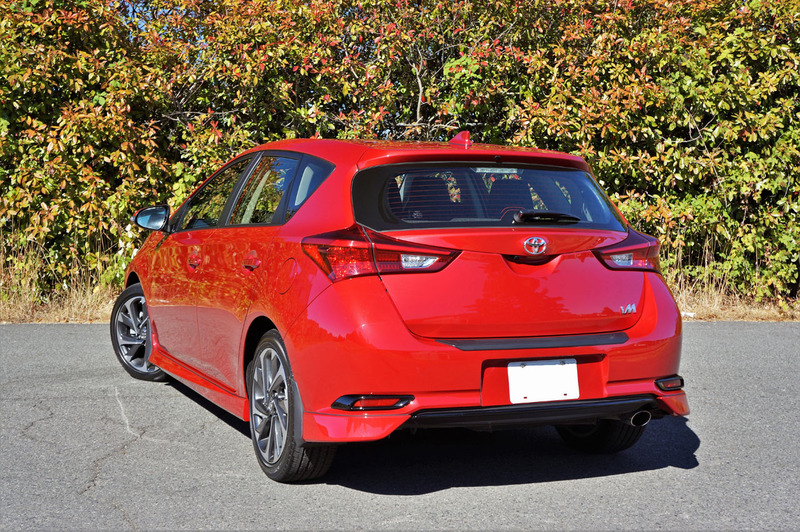 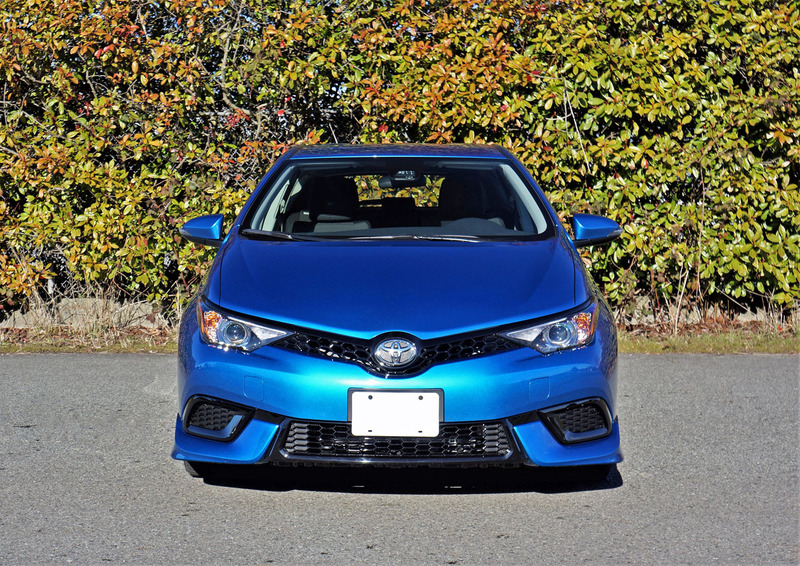 It started out as the second-generation Auris in 2012, a Euro-spec Toyota that came to North America as the Scion iM in 2015 as a 2016 model. 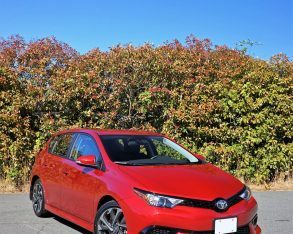 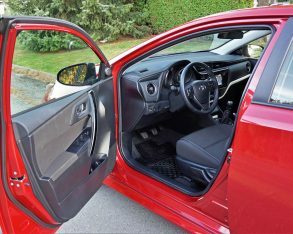 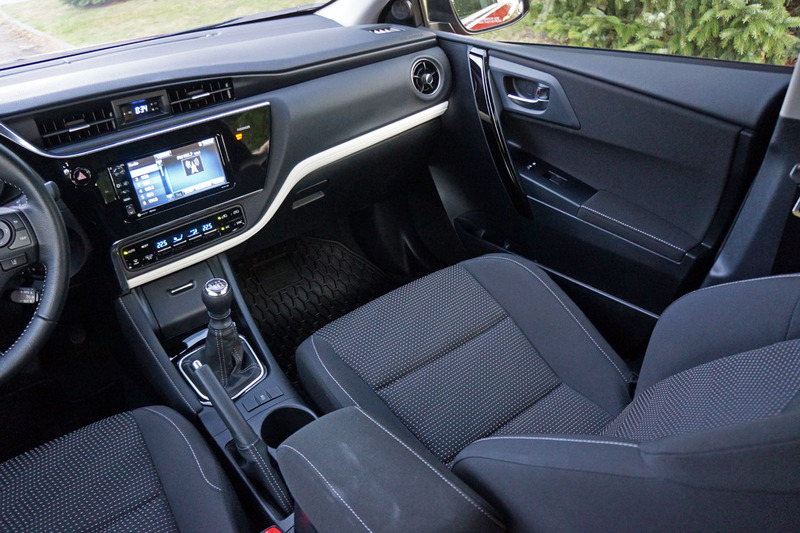 I drove that car in a bright day-glow yellow dubbed Spring Green, and was duly impressed by its performance, interior design, fit, finish and materials quality, standard feature set, and general goodness all-round, so therefore it was easy to accept the 2017 Corolla iM that surfaced the following year, which after just two model years is being sent to pasture. 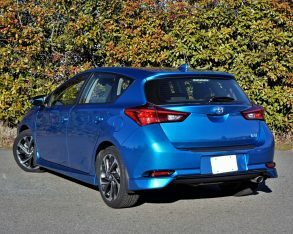 Why not wait for the Corolla Hatchback instead? 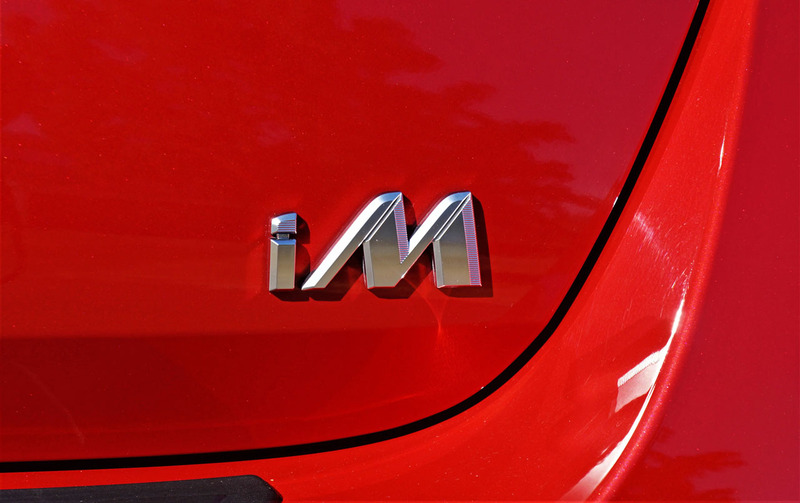 I can’t recommend the new model or criticize it, but I’d be surprised if it comes finished to the same impressive levels as the iM. 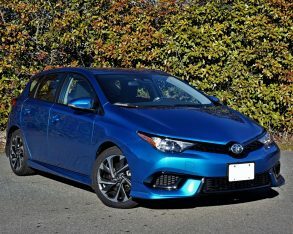 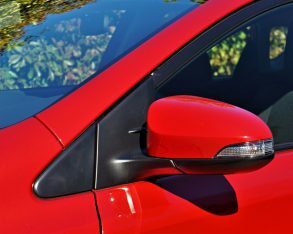 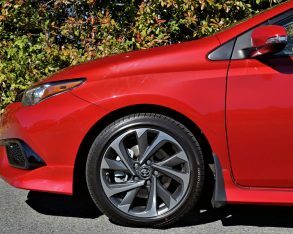 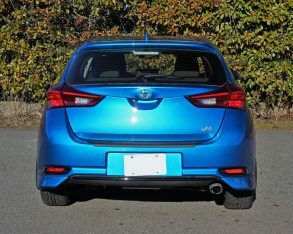 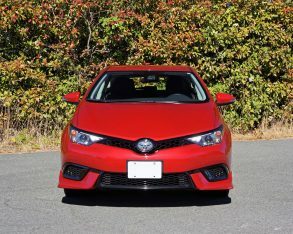 This said the new Corolla Hatchback is also the third-generation Auris in Europe, so it should also be above average when compared to similar North American offerings, unless they dumb our version down by cutting corners on interior quality—we already know the fully independent suspension is up to snuff. 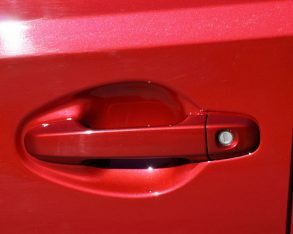 Let’s keep our collective fingers crossed, or alternatively take what we can get while the gettin’s good. 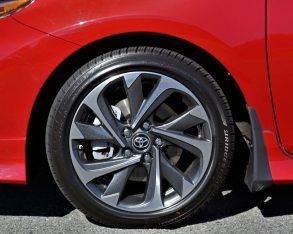 Let’s start with the mechanicals. 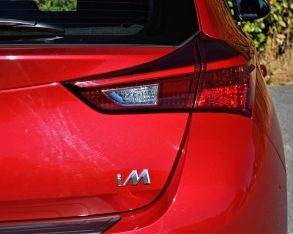 Behind the iM’s sloping snout is a 16-valve, DOHC, 1.8-litre four-cylinder engine with Valvetronic, which puts out 137 horsepower and 126 lb-ft of torque for plenty of zoot off the line and no shortage of passing power. 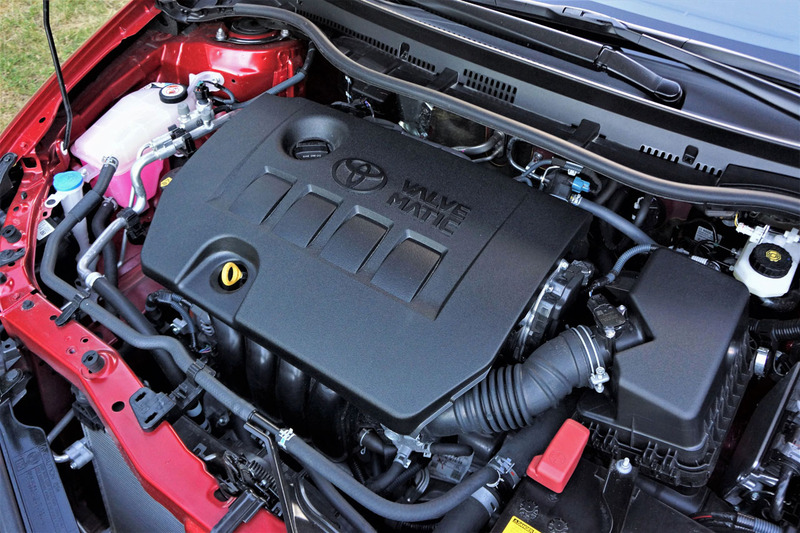 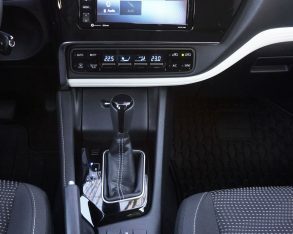 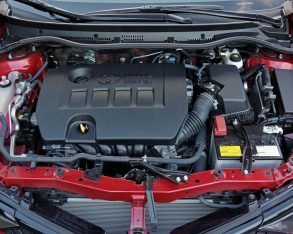 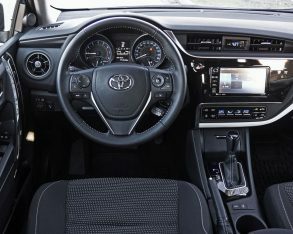 Of course, it feels a lot more energetic when mated to its six-speed manual, but that said the aforementioned CVT is actually Toyota’s CVT-S autobox, the “S” standing for Sport. 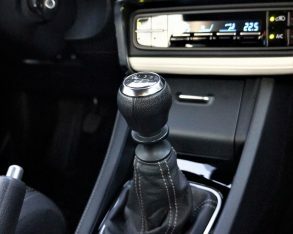 Basically it features a shift lever-actuated manual mode that swaps “cogs” quite quickly and effectively, mimicking the real deal to the point of enjoyment, which makes it quite the rarity amongst CVTs that are normally the antithesis of sporty. 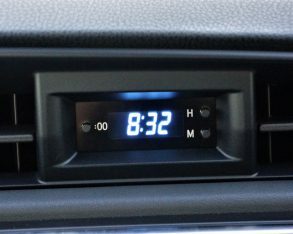 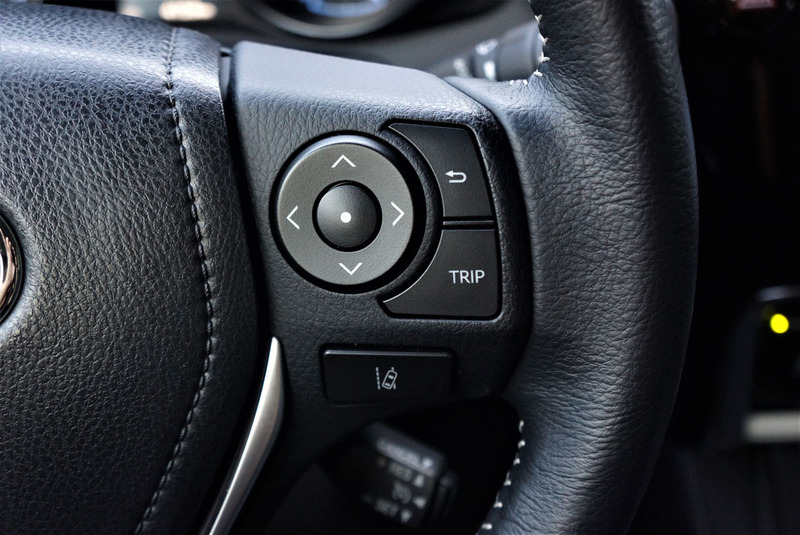 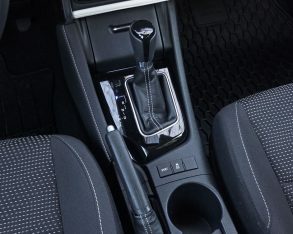 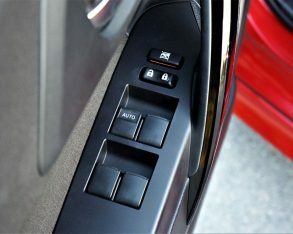 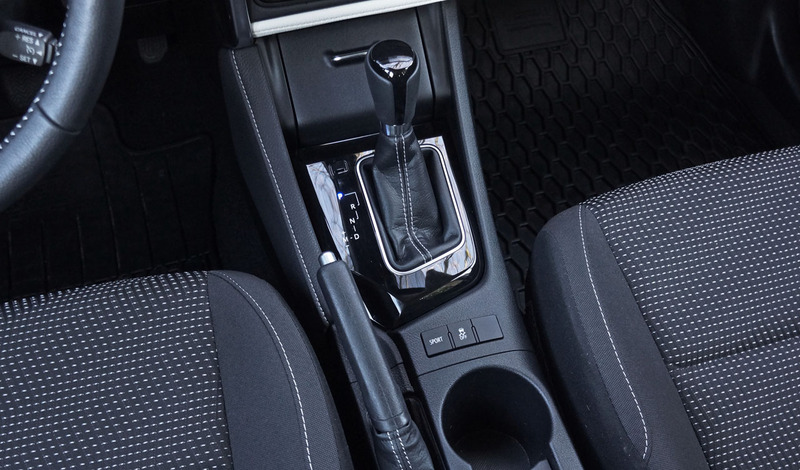 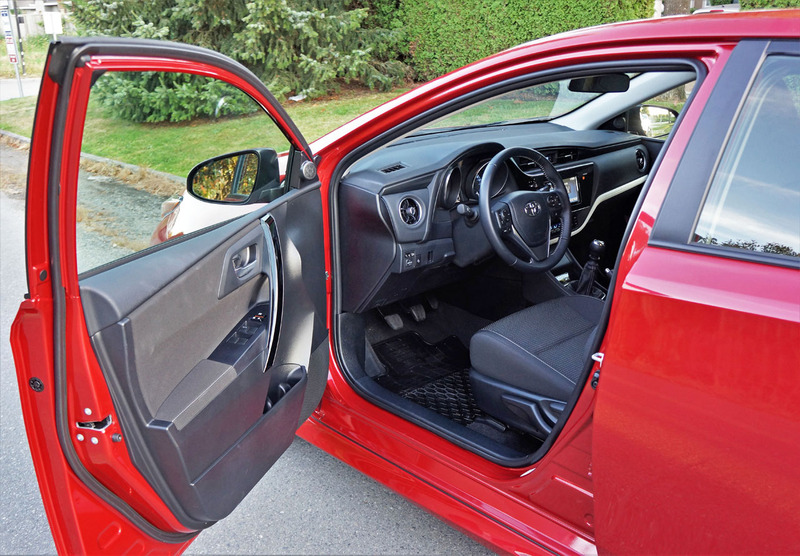 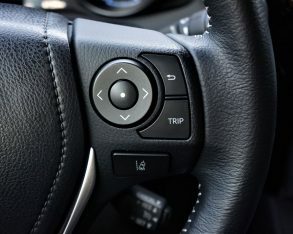 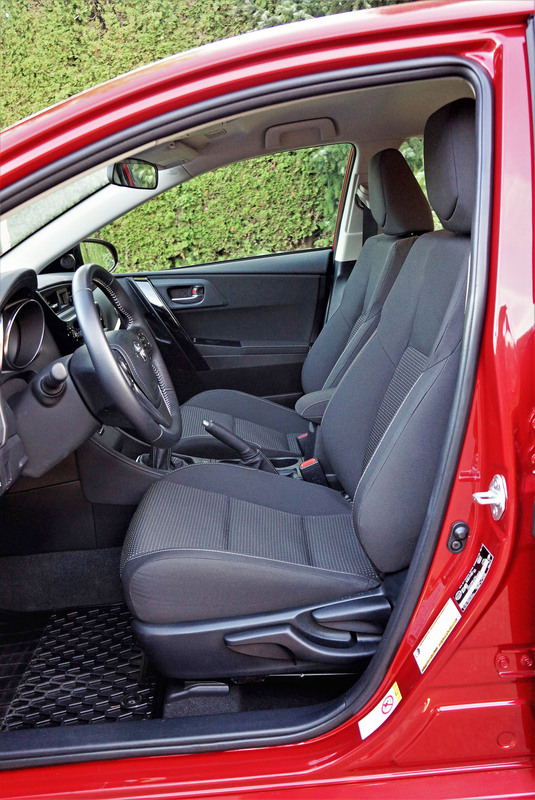 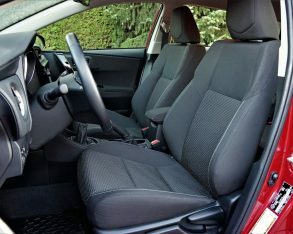 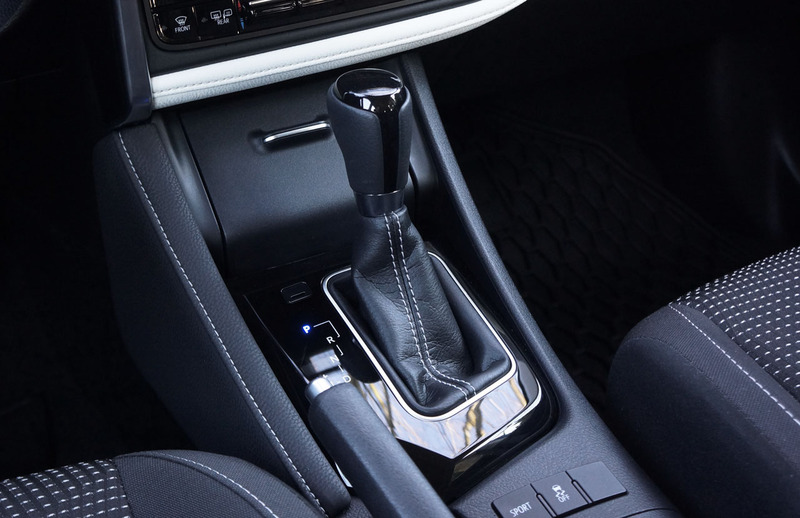 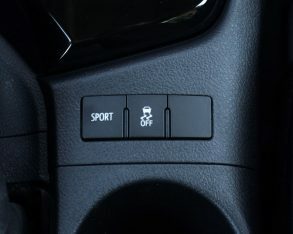 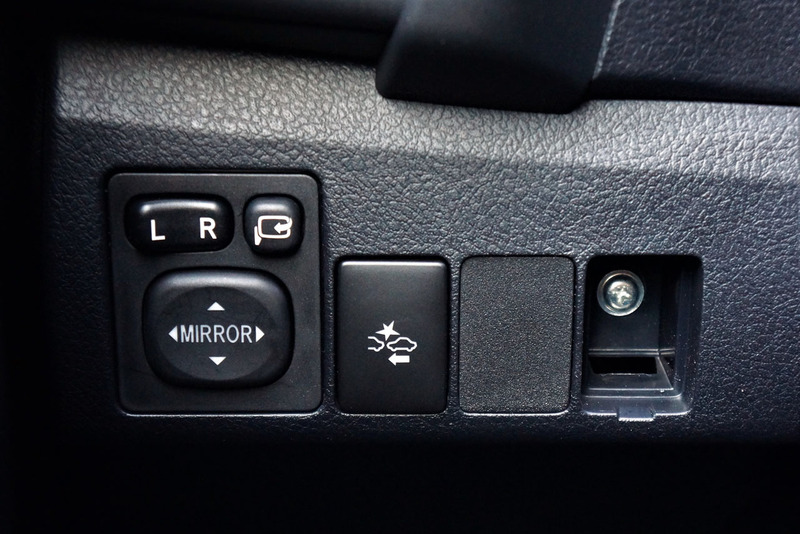 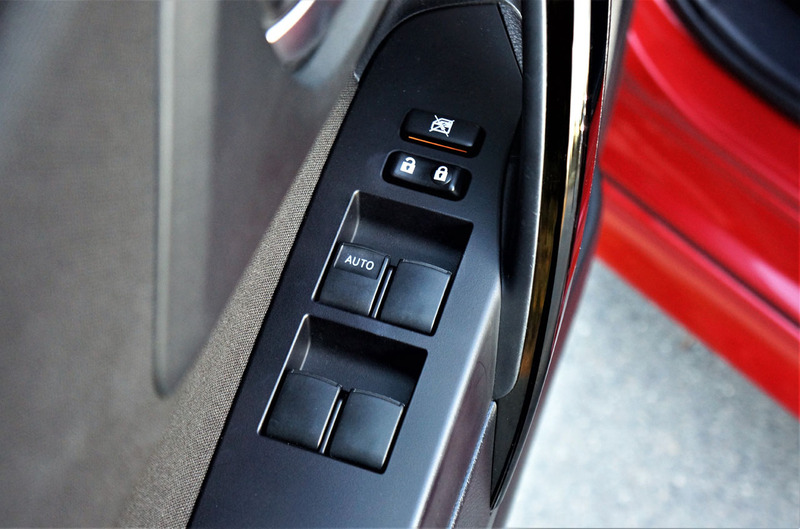 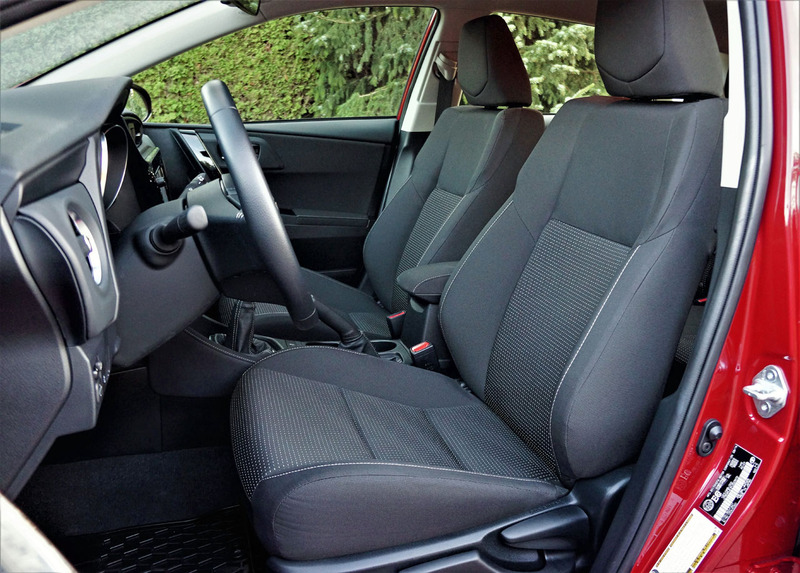 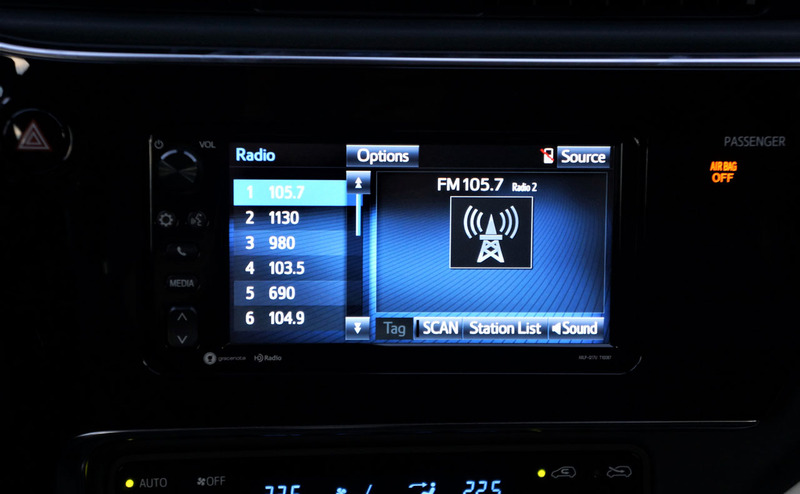 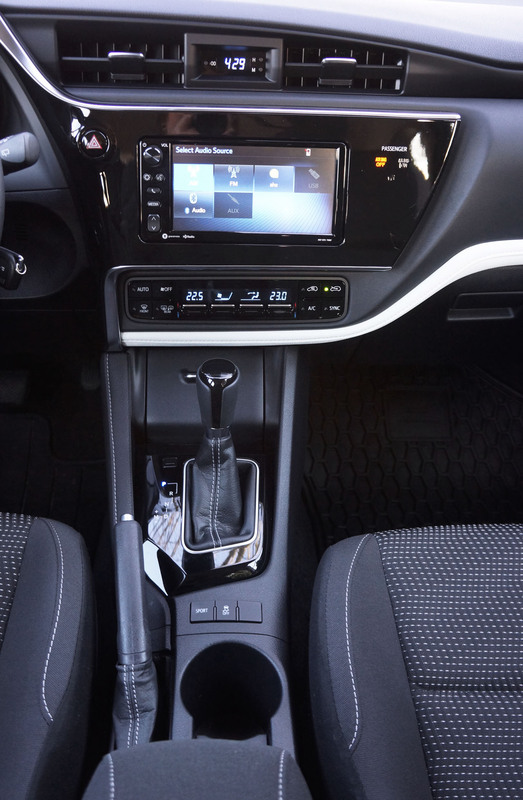 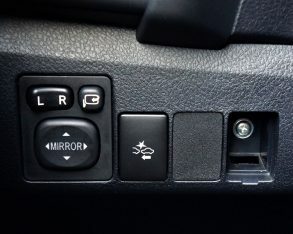 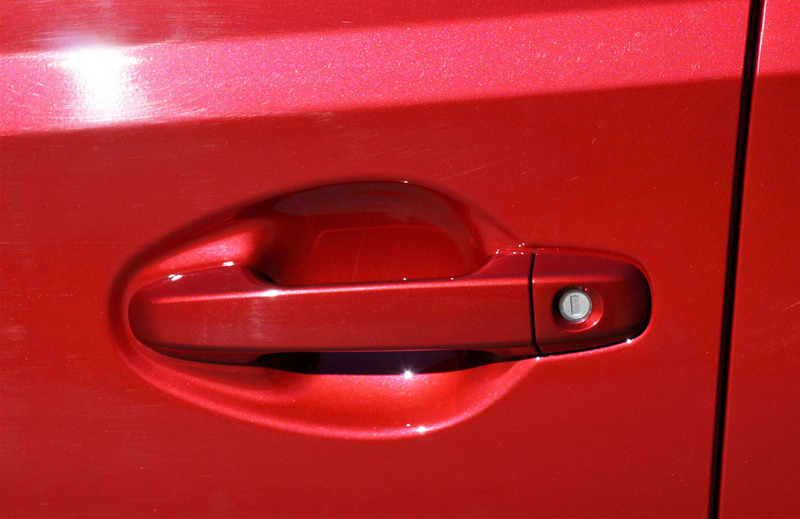 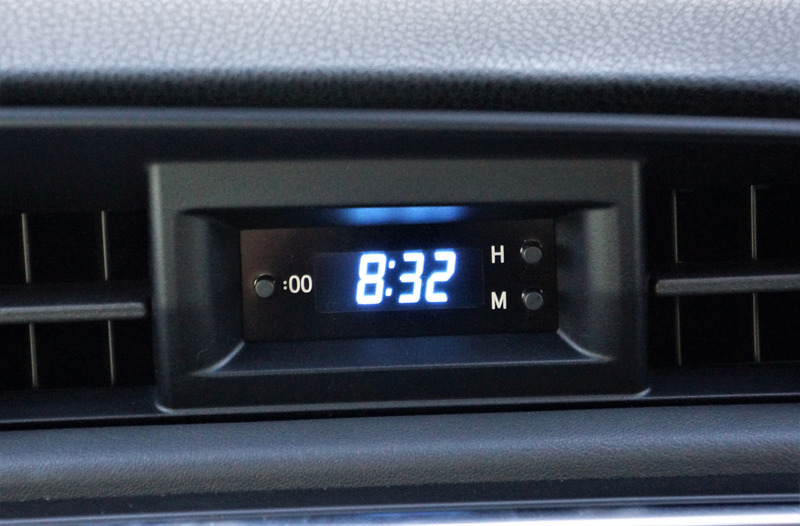 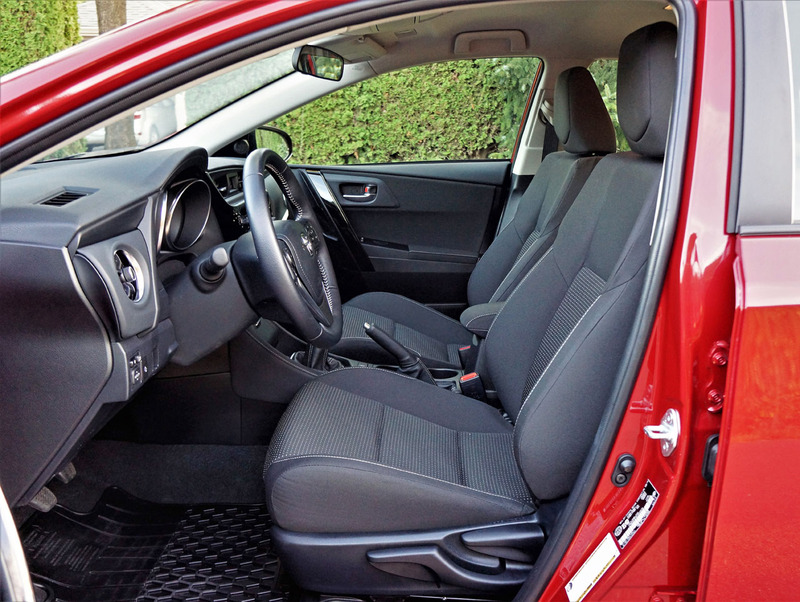 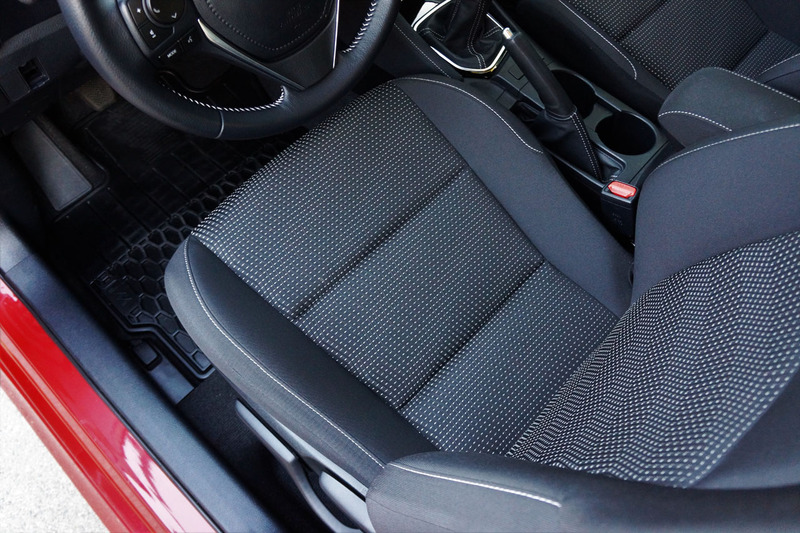 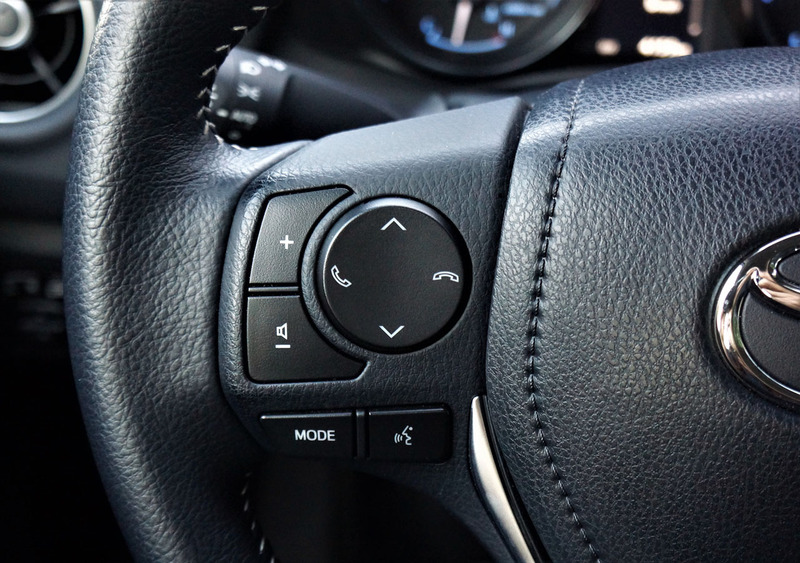 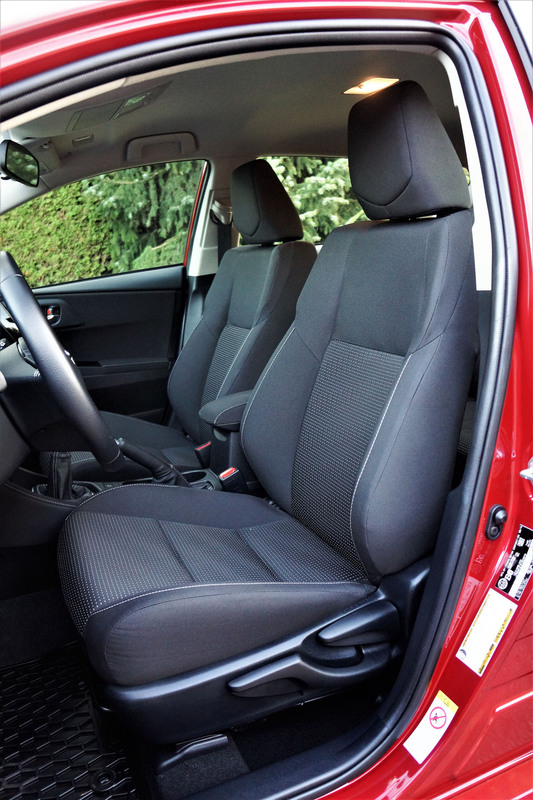 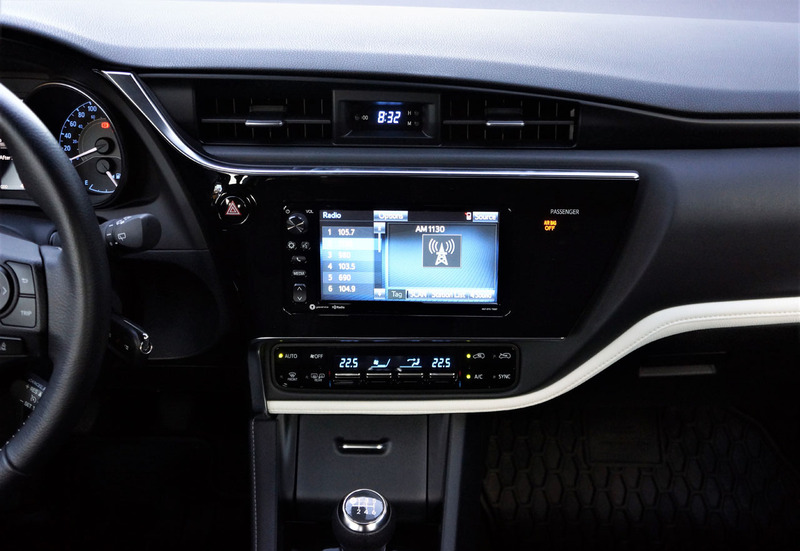 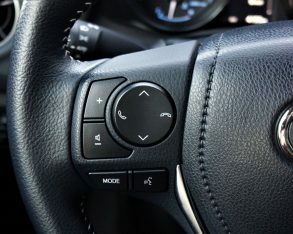 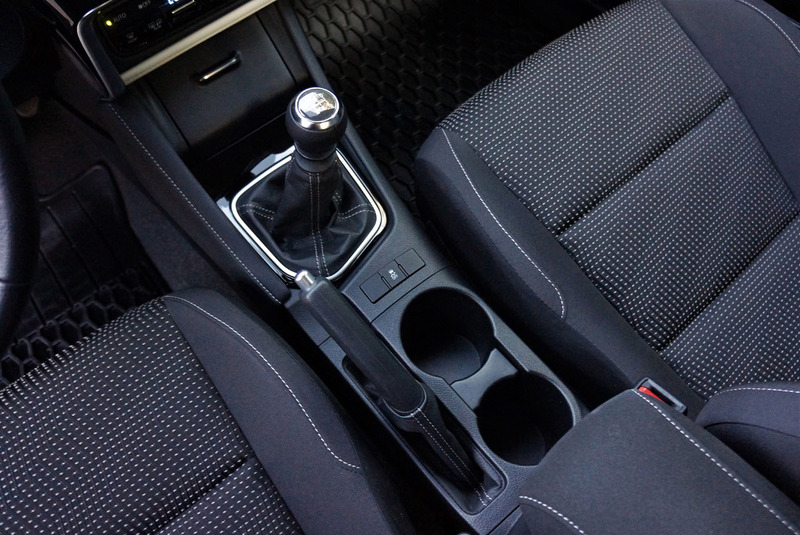 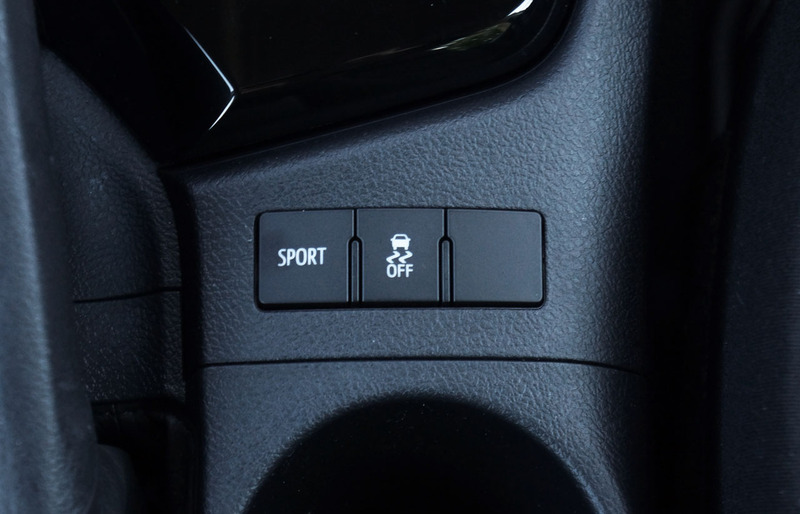 The CVT-S also provides a Sport mode, accessible from a button on the lower console. 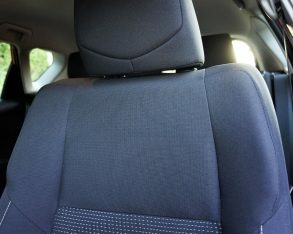 Again, it adds some zest to the iM experience when wanting to let your hair down, but it’s nothing to get too excited about. 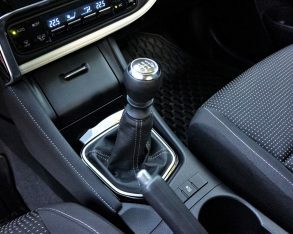 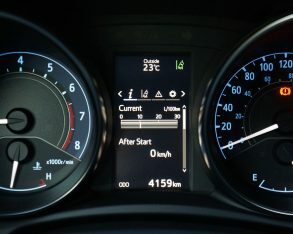 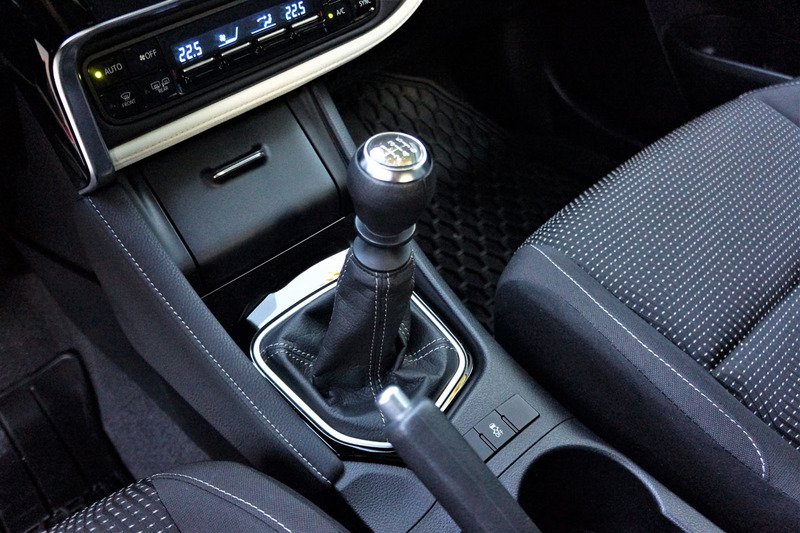 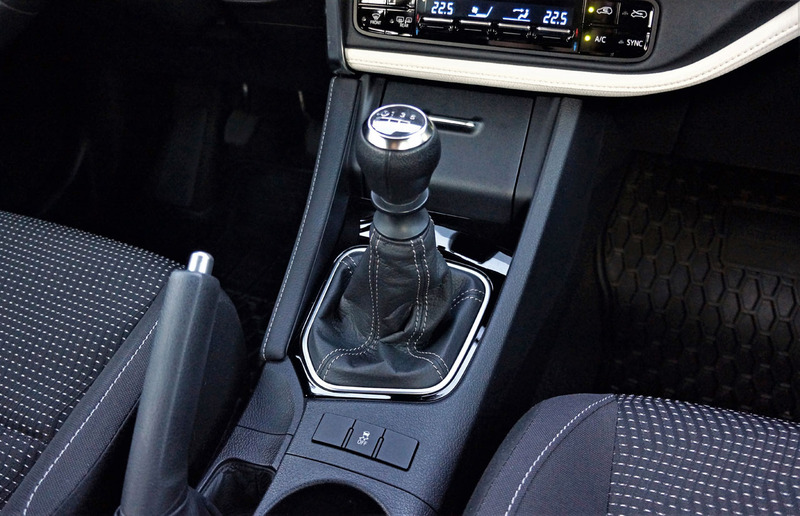 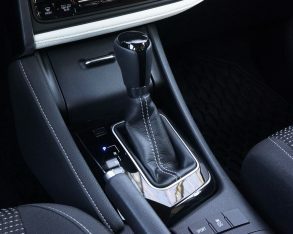 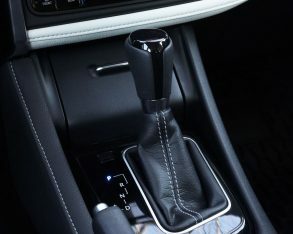 Another reason to choose the CVT-S over the manual is fuel economy, the six-speed quite efficient yet not as thrifty as the autobox at 8.8 L/100km city, 6.8 highway and 7.9 combined compared to 8.3 city, 6.5 highway and 7.5 combined. 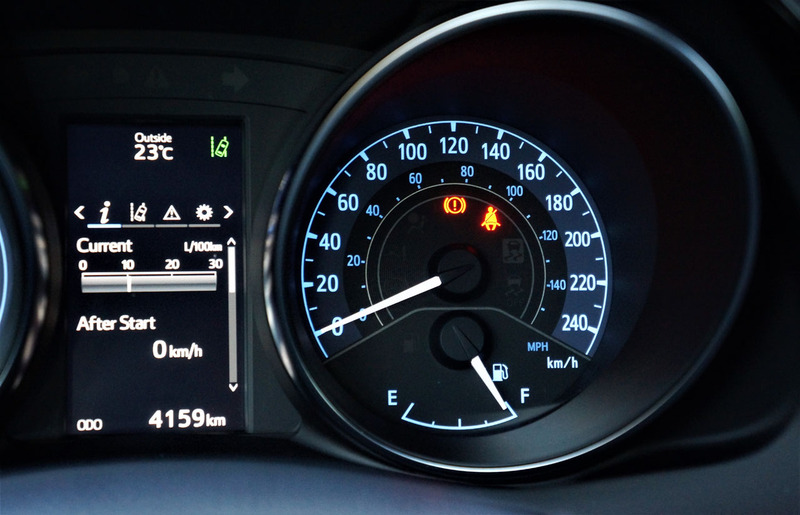 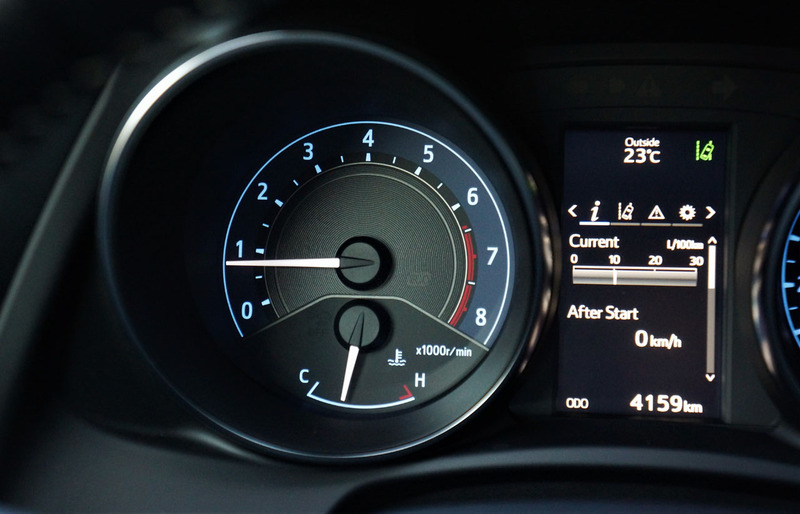 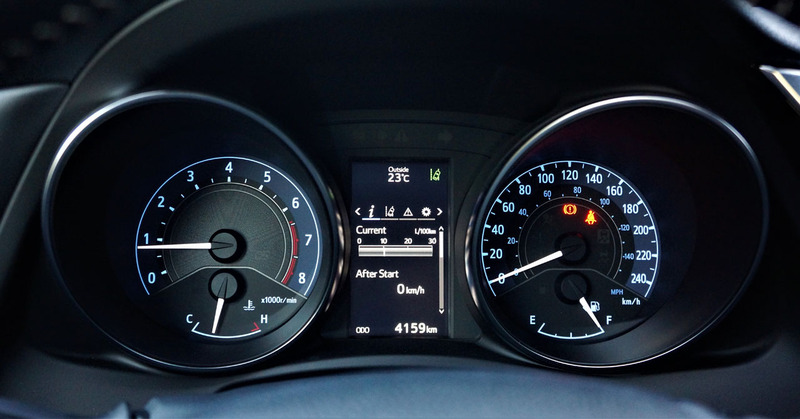 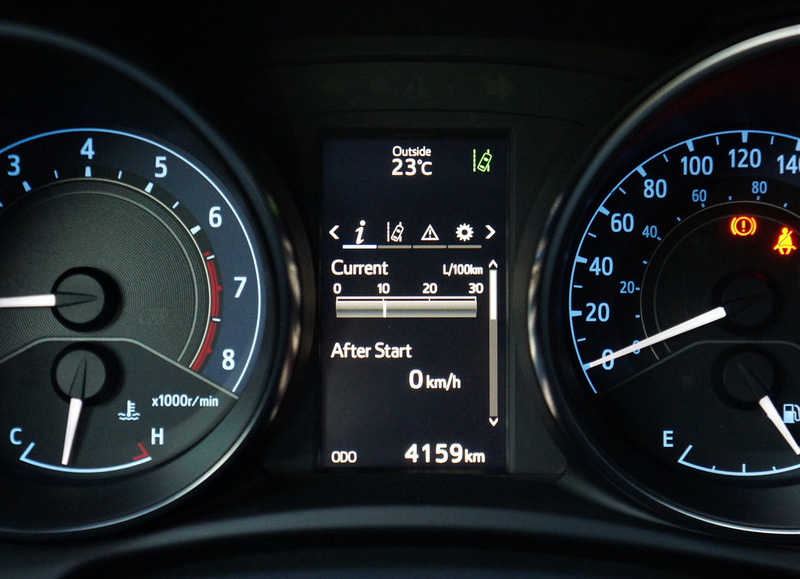 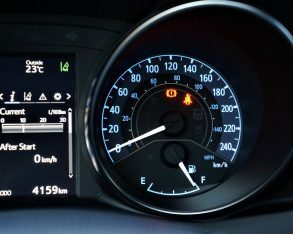 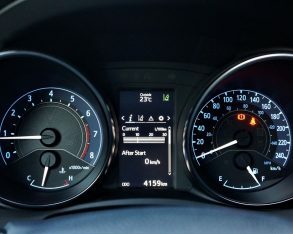 Whether or not the fuel savings are enough to make up for the automatic’s $835 hit to your wallet will come down to how you drive and the distances covered, but it’s possible the expense will even itself out after a few years. 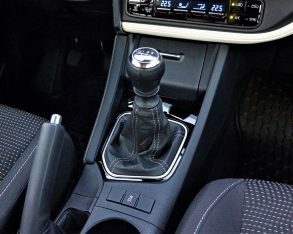 Of course, it’ll be well worth the extra charge if you don’t drive stick or would rather not, plus if you’re paying monthly the difference between $22,750 and $23,585 is nominal. 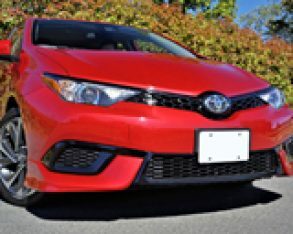 Incidentally, I sourced the Corolla iM’s retail pricing at CarCostCanada.com, which is the most comprehensive new vehicle pricing resource in Canada, not only supplying every available trim and option plus the cost of each, but also showing otherwise hard-to-find dealer invoice pricing and up-to-the-moment rebate info so you can get the best possible deal when showing up at the retailer. 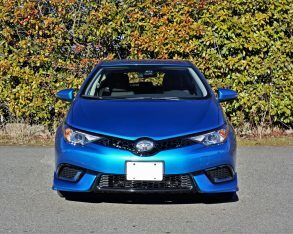 And considering the Corolla iM is about to be replaced for good, you should be able to work out a very good deal if you’re well armed with information. 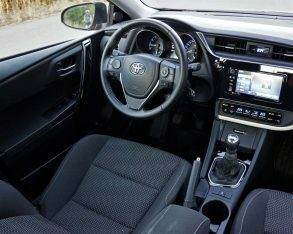 If the Corolla iM could get any better, I’d be inclined to place its aforementioned interior attributes at an even higher level than its ride and handling prowess. 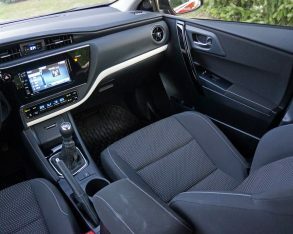 When I say the cabin gets close to premium, I’m not merely copping an overused term in order to imply that it includes a number of luxury sector features that give it a wannabe-premium flair, but rather it really does have an impressively finished passenger compartment. 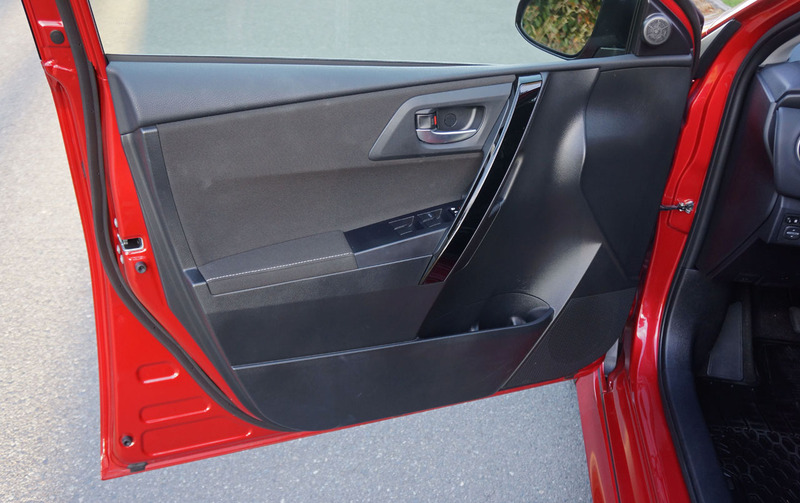 First off, the A-pillars come wrapped in the same high-quality woven fabric as the roofliner, while a better than average soft-touch synthetic covers the entire dash top, the upper half of the instrument panel, and the tops each front door panel. 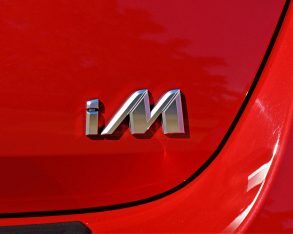 If you’re not quite convinced, the iM’s standard features list might drive its value proposition home more effectively, thanks to auto on/off halogen projector headlamps with LED DRLs, LED side mirror turn signals, LED taillights, machine-finished 17-inch alloys with grey painted pockets, remote access, heatable, power-folding, power-adjustable side mirrors, a tilt and telescopic leather-wrapped multifunction steering wheel, cruise control, variable intermittent wipers, dual-zone automatic climate control, illuminated vanity mirrors, an overhead console with a nicely lined sunglasses holder, a 4.2-inch colour TFT multi-information display, a large high-resolution 7.0-inch Pioneer infotainment/display audio system with very nice graphics, a backup camera, Bluetooth phone connectivity and audio streaming, voice recognition, and a six-speaker AM/FM/USB/AUX stereo featuring Aha, internet radio, POI search, Gracenote, and more. 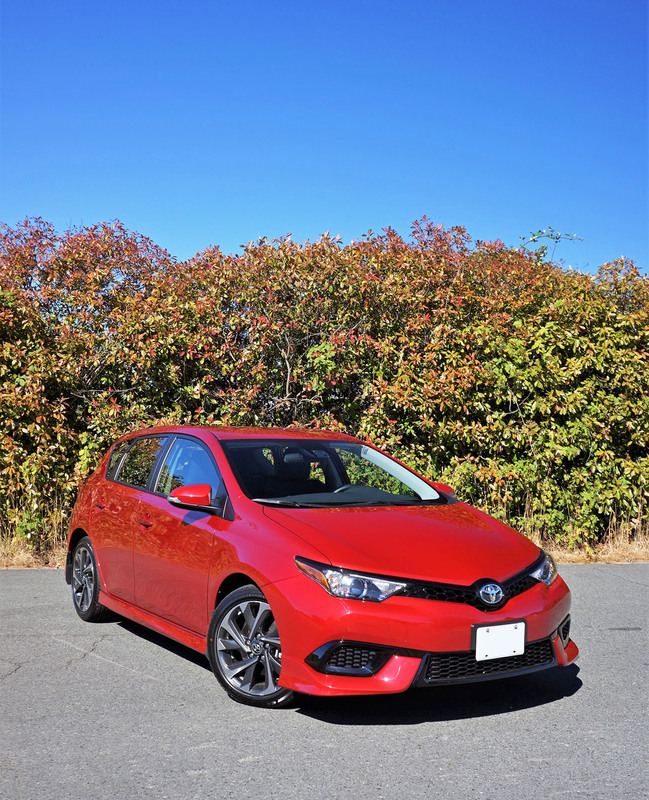 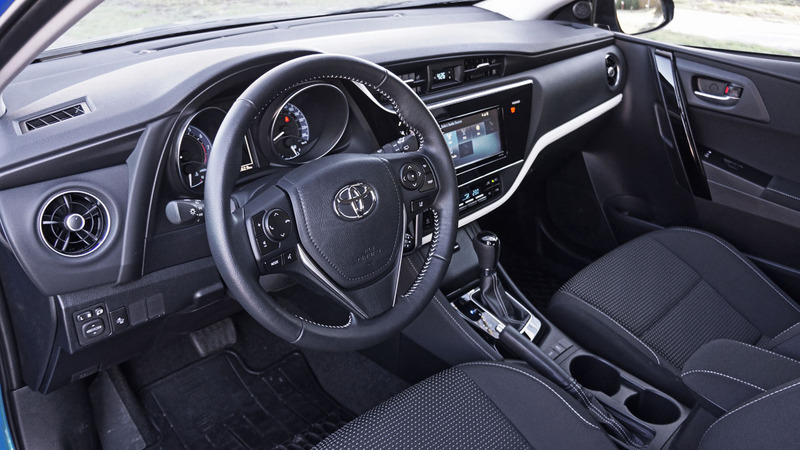 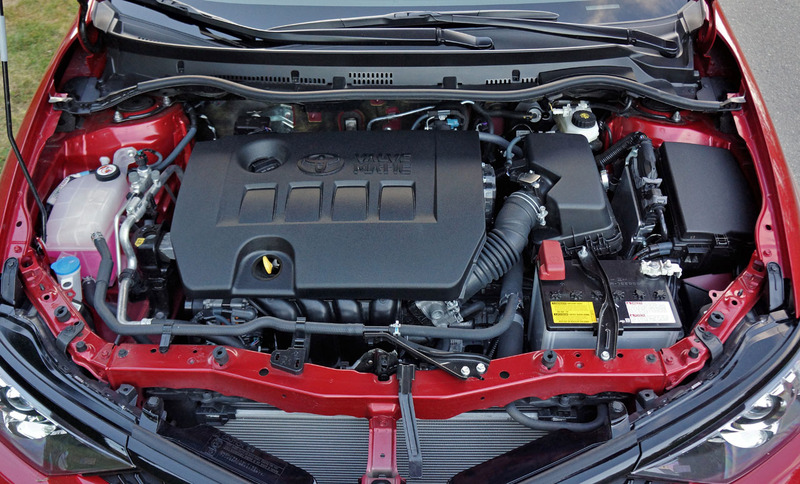 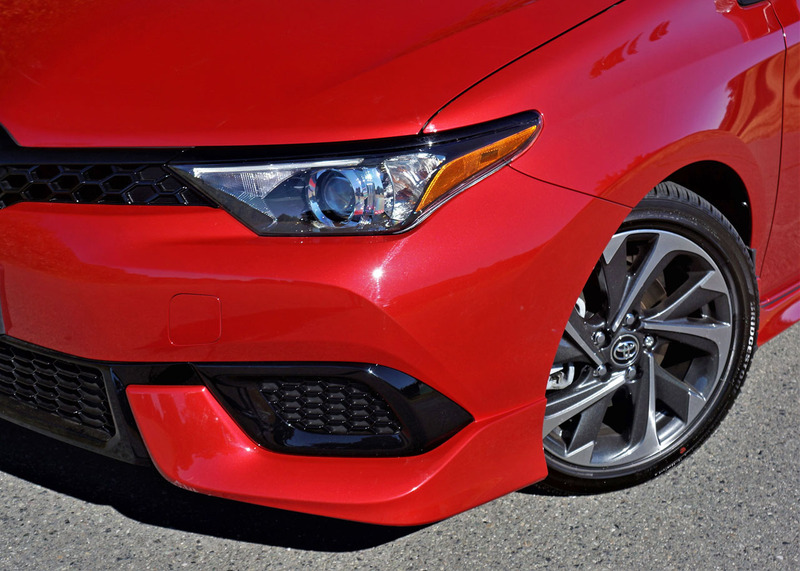 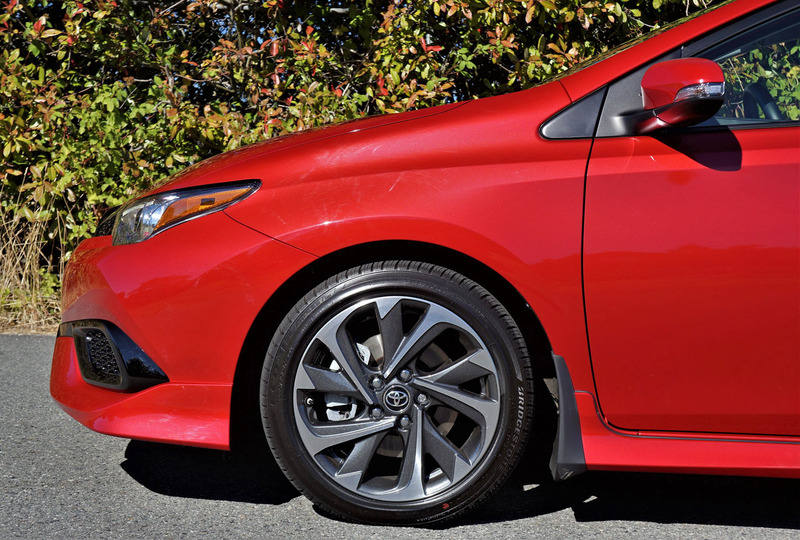 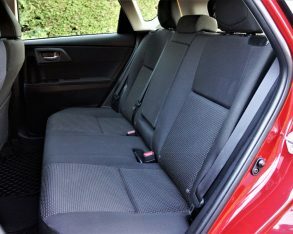 While this generous load of standard features is impressive, the Corolla iM’s one-trim-fits-all strategy shows the weakness of the original Scion business model. 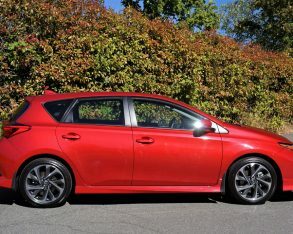 On one hand it doesn’t allow for a stripped down base model capable of going head-to-head against competitors’ lower price points, which are often used just for marketing purposes, getting would-be buyers down to the dealership so they can be upsold into something with the iM’s level of features, but it’s an effective approach just the same, while on the other hand it doesn’t allow for the types of high end features that might make the iM more appealing to those willing to spend more for a premium-like experience. 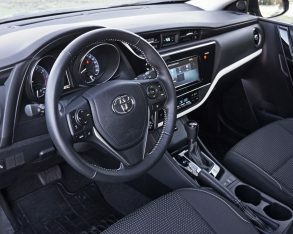 For instance, the iM can’t be had with proximity keyless access, pushbutton ignition, parking sensors, leather upholstery, cooled front and heatable rear seats, a regular moonroof let alone a panoramic glass roof, navigation, a surround camera, etcetera. 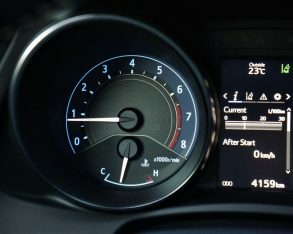 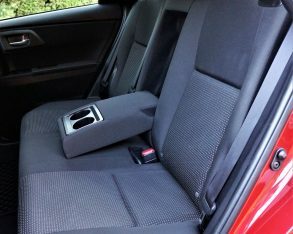 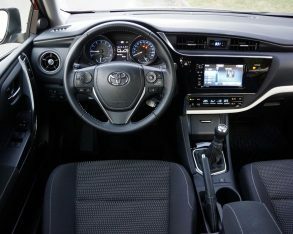 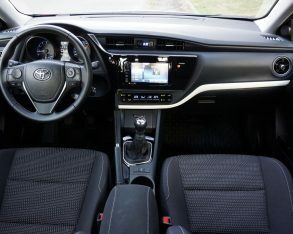 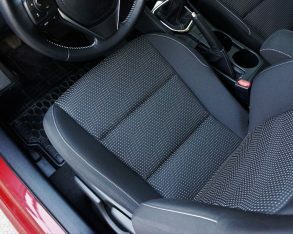 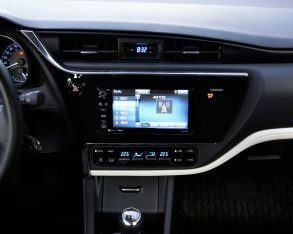 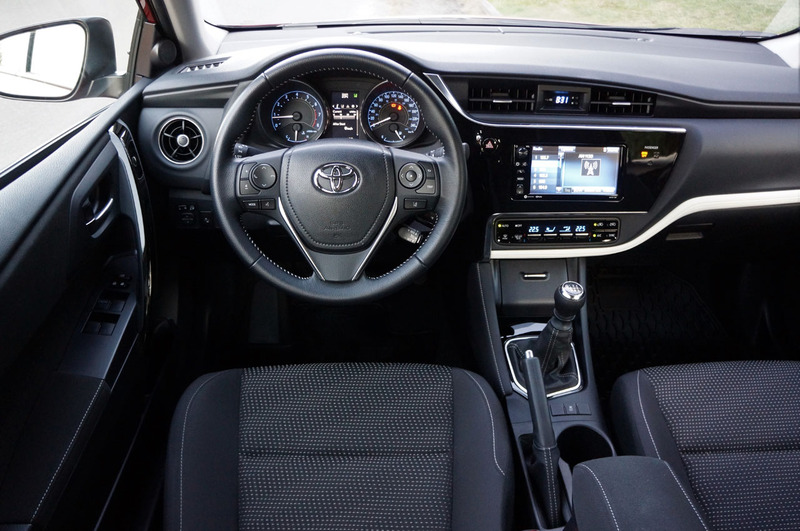 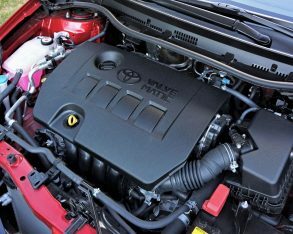 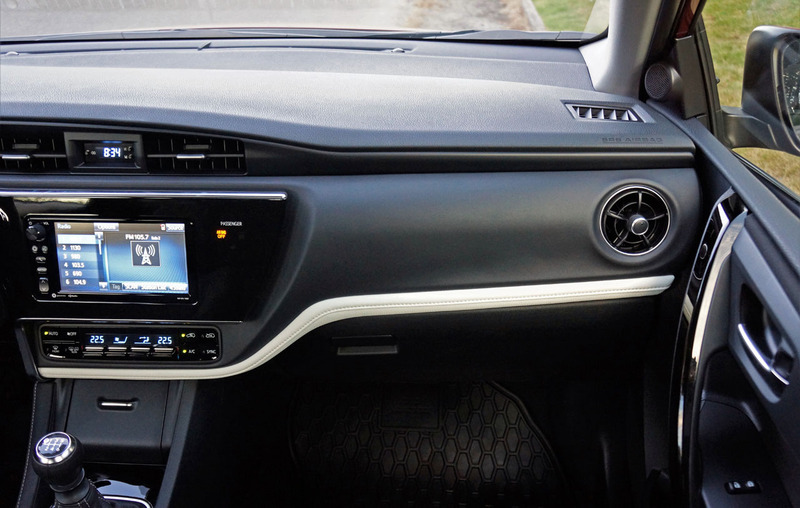 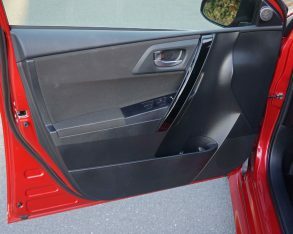 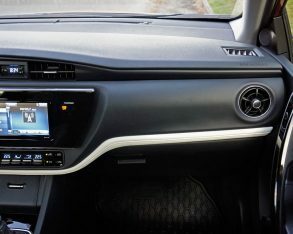 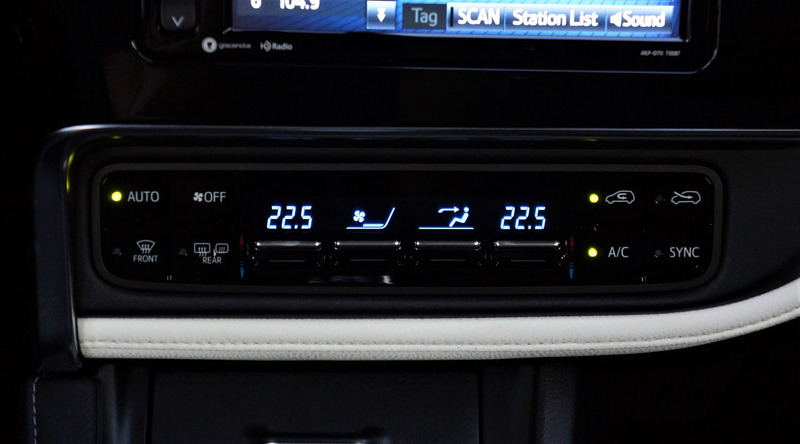 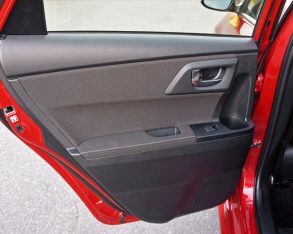 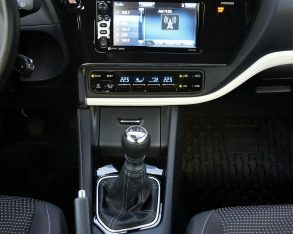 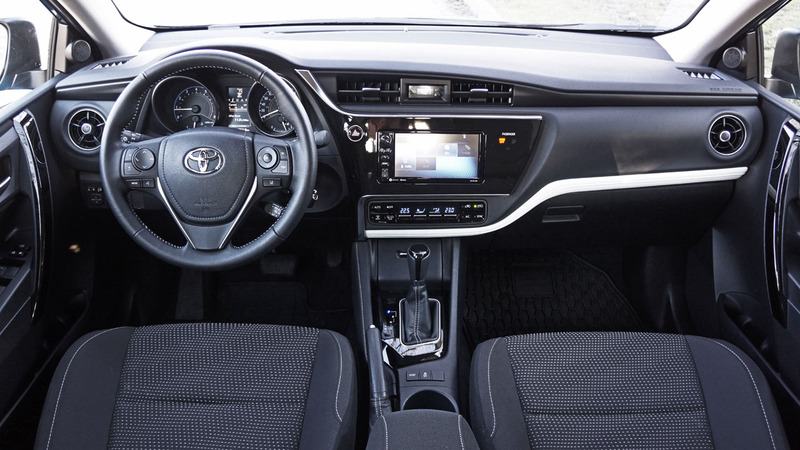 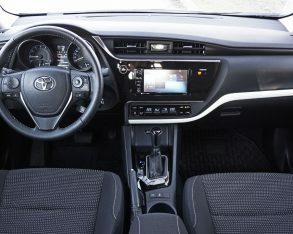 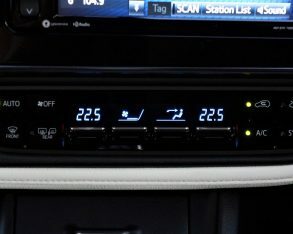 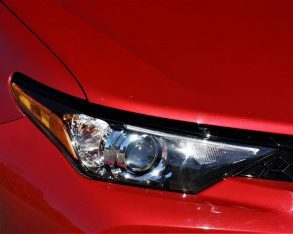 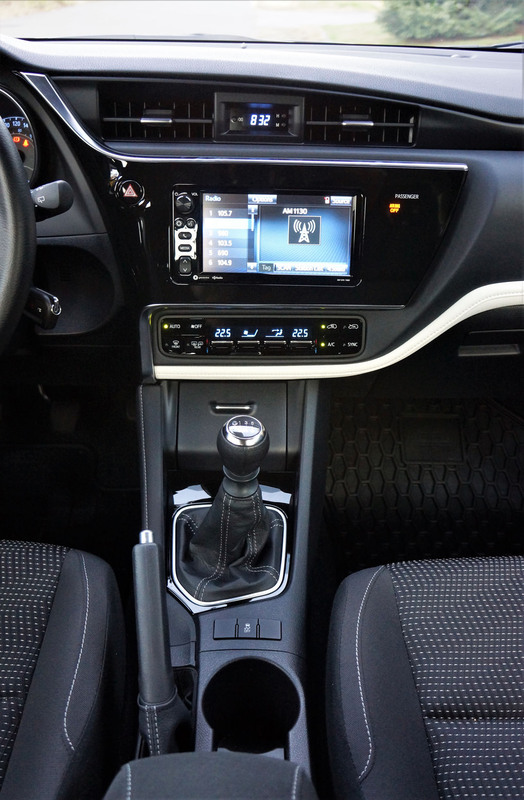 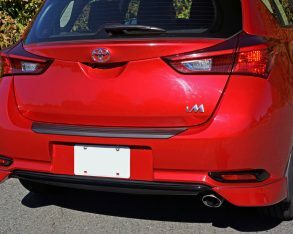 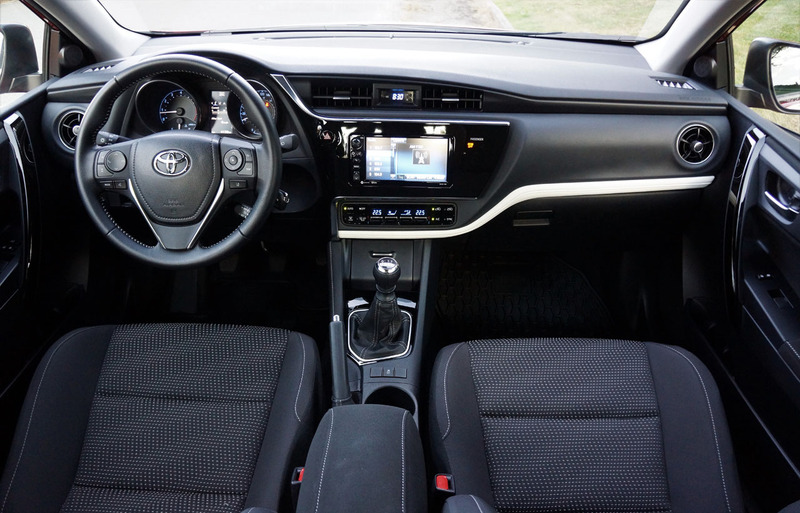 Toyota does offer dealer-installed accessories, mind you, including a larger rear rooftop spoiler, an infotainment upgrade with navigation, a Bongiovi Acoustics DPS audio upgrade, and interior ambient lighting with interchangeable blue, turquoise, green, yellow, red, purple and white colour choices. 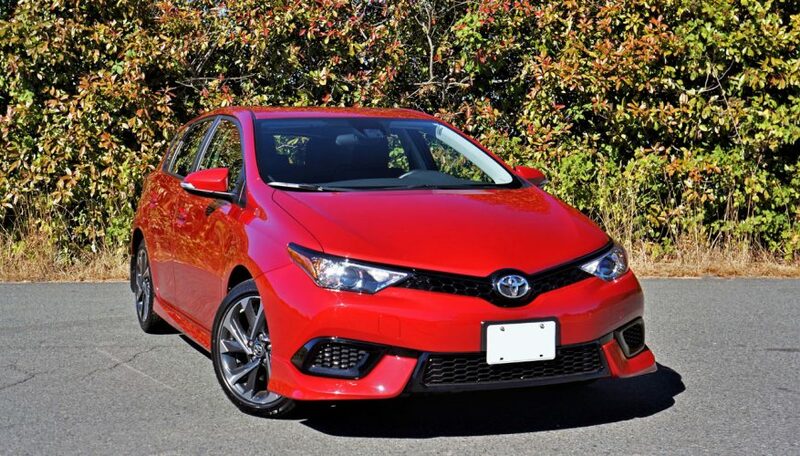 I know, the ability to choose between ambient colours might sound a bit frivolous to those merely looking for a good quality car with a modicum of performance at a great price, so don’t bring it up and your local Toyota salesperson probably won’t either. 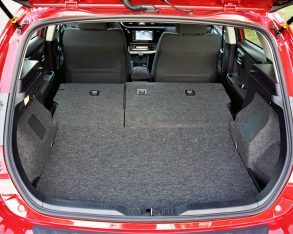 After all, interior roominess and comfort is a much more important subject matter, neither of which should cause you concern unless you’re much taller than average. 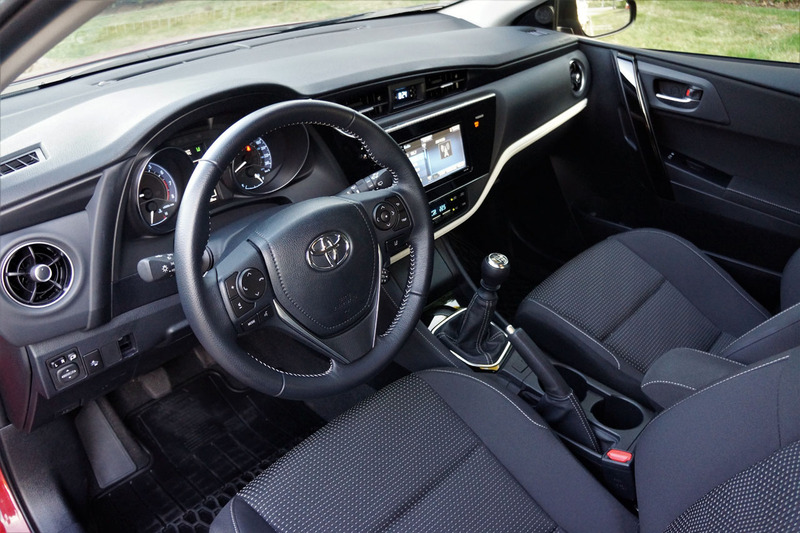 I’m only five-foot-eight, which is about average for a Canadian guy, so I had room galore up front, although take note the steering column’s telescopic reach doesn’t extend far enough rearward to make up for body types with longer legs than torsos/arms. 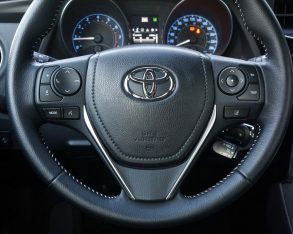 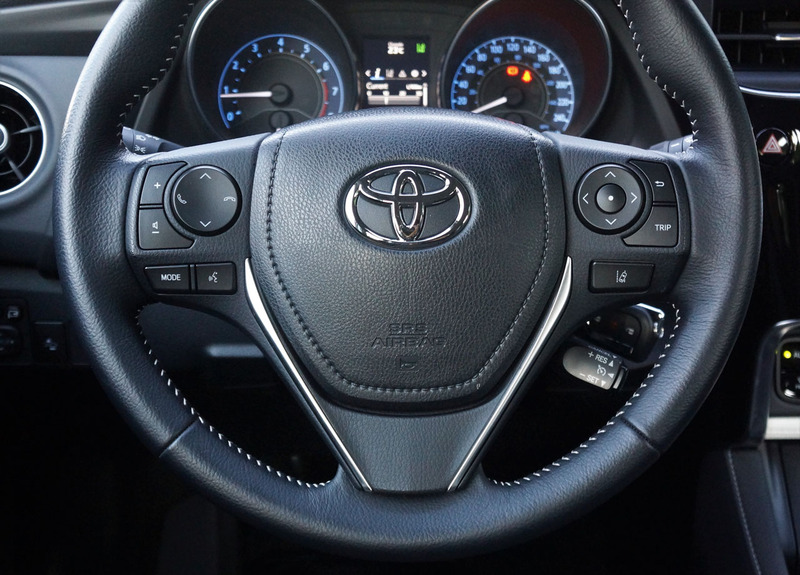 This is true for most Toyotas, forcing me to position the driver’s seatback at an unnaturally upright angle in order to grasp the top portion of steering wheel rim, and even then it’s not comfortable and doesn’t provide optimal control. 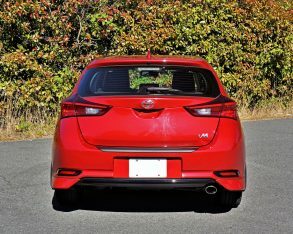 Certainly I could drive it, but for this reason alone I wouldn’t buy it. 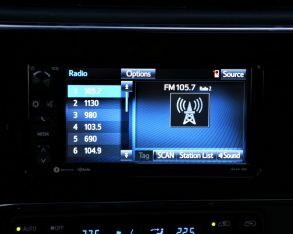 This will affect everyone differently, so make sure you test it out before singing on the bottom line. 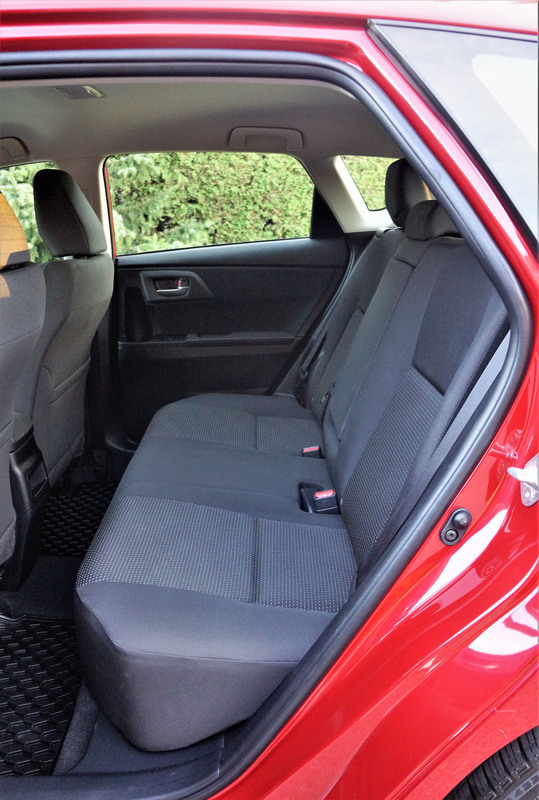 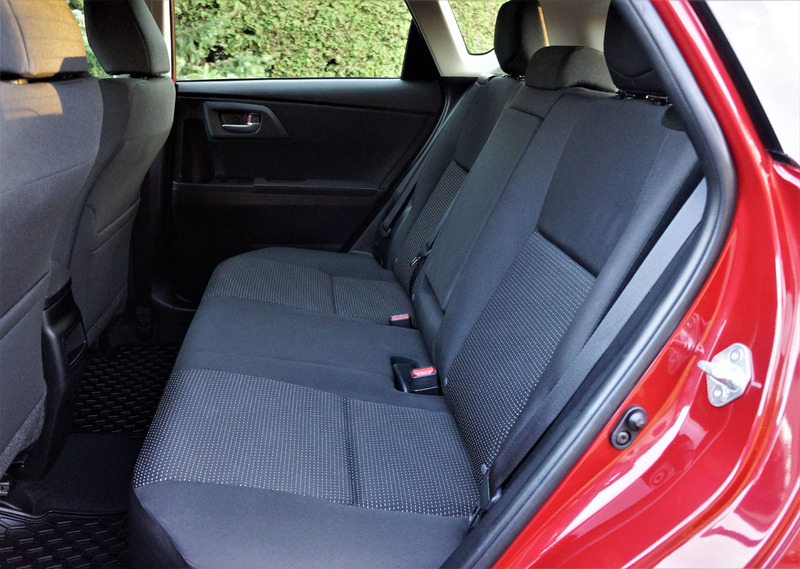 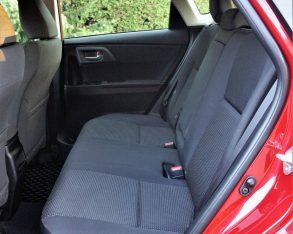 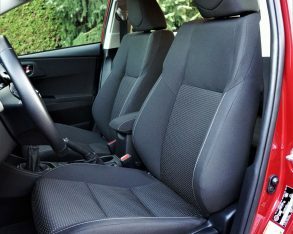 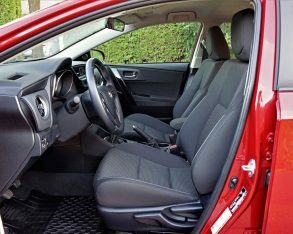 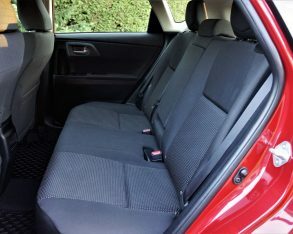 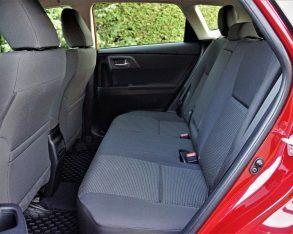 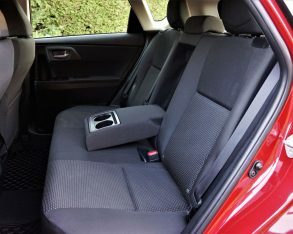 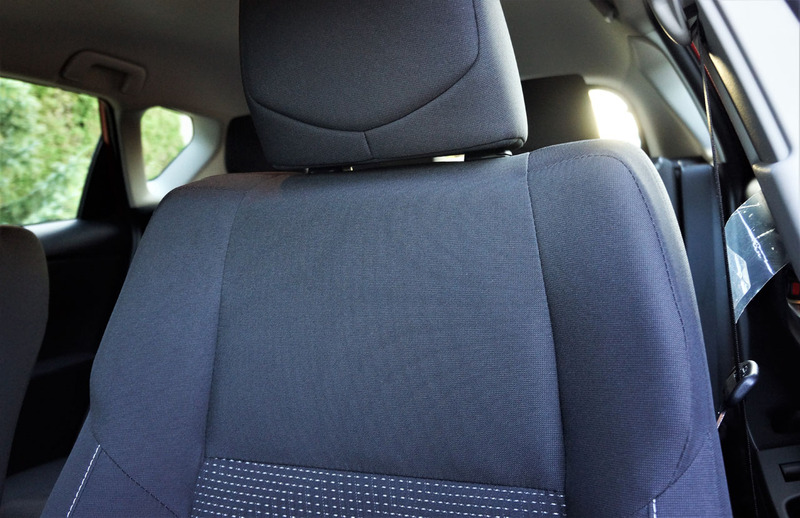 As for rear seat roominess, I left the driver’s seat positioned for my height and sat behind to find about five inches of space ahead of my knees and plenty of room for my shoes below, plus there was almost as much space above my head. 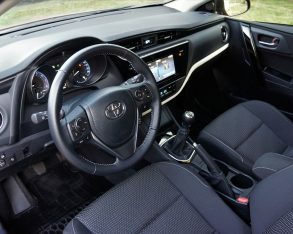 Toyota provides a flip-down centre armrest with integrated cupholders, which honestly was a bit low for my arm to rest comfortably, but it’s probably perfect for kids, while I’m guessing a smallish third passenger would be more than comfortable in the middle seat. 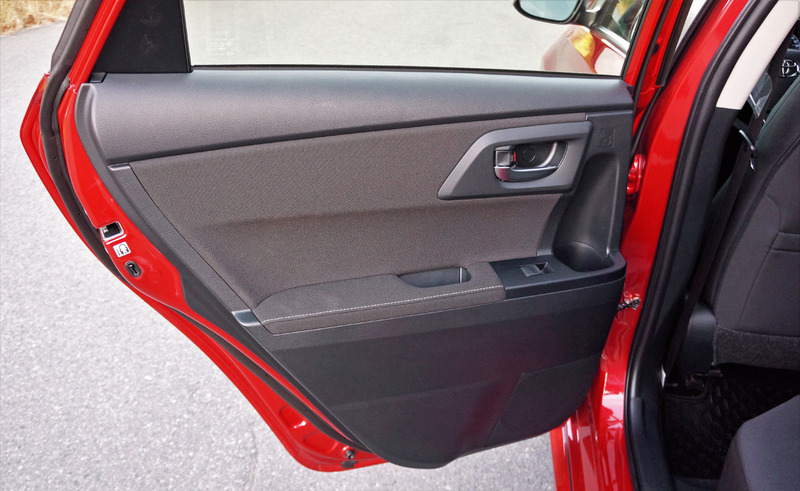 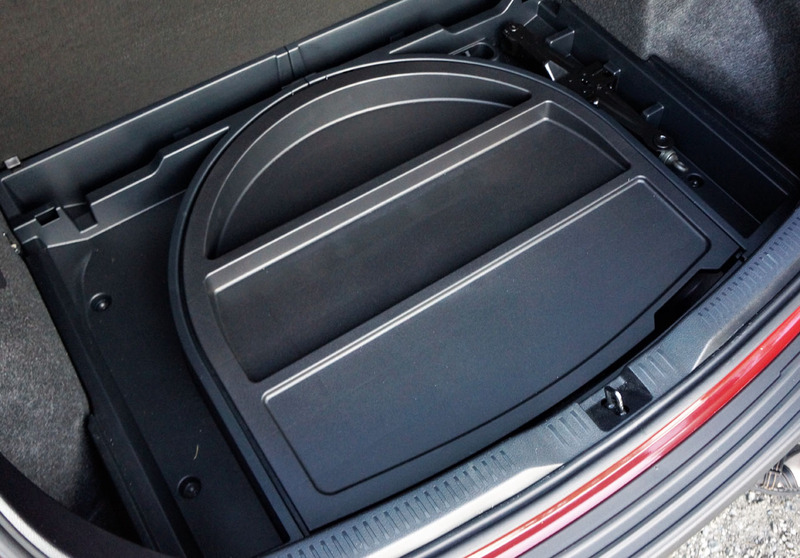 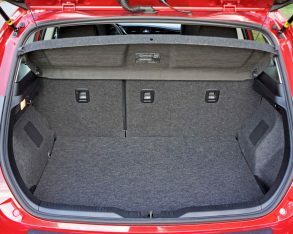 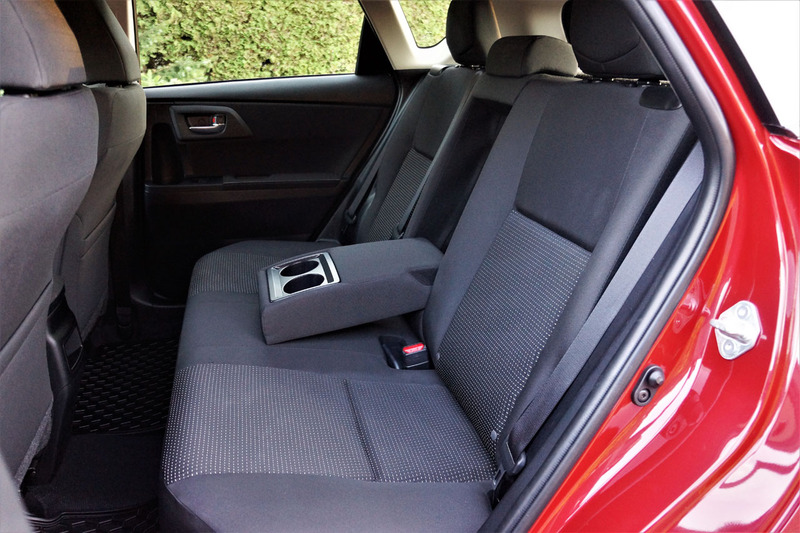 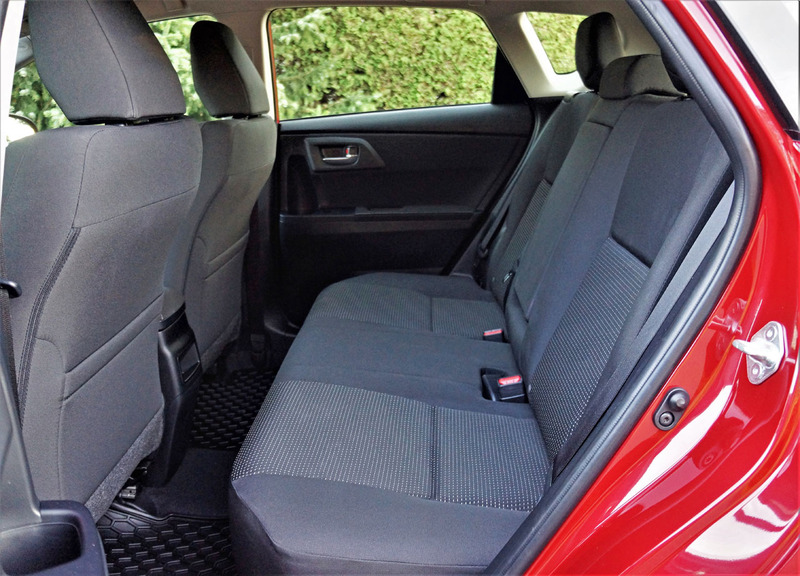 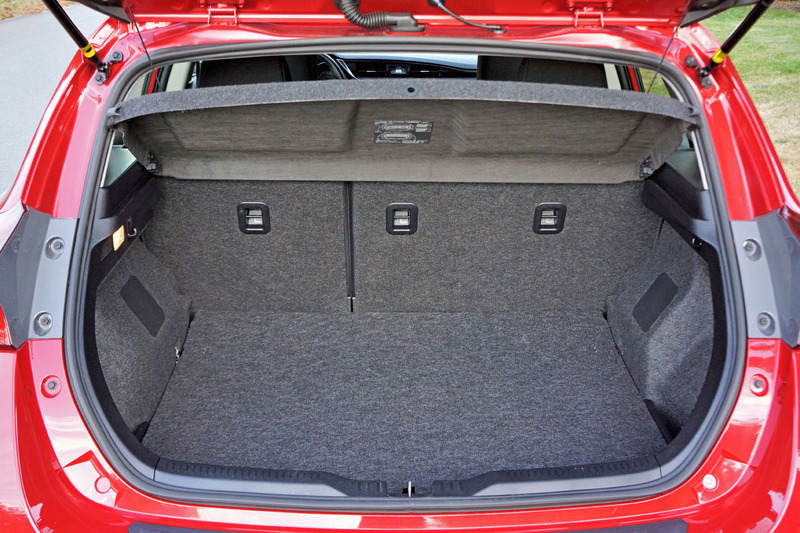 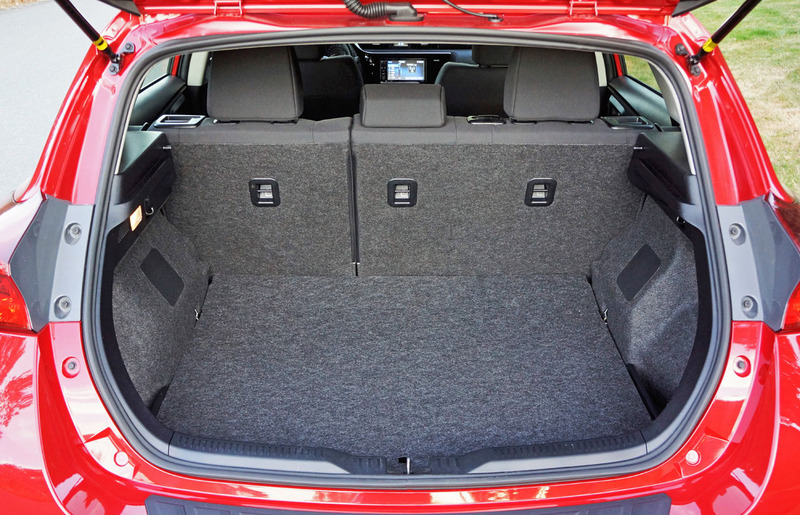 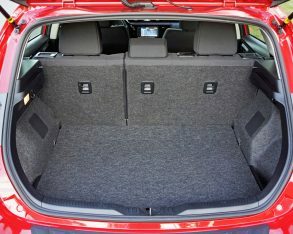 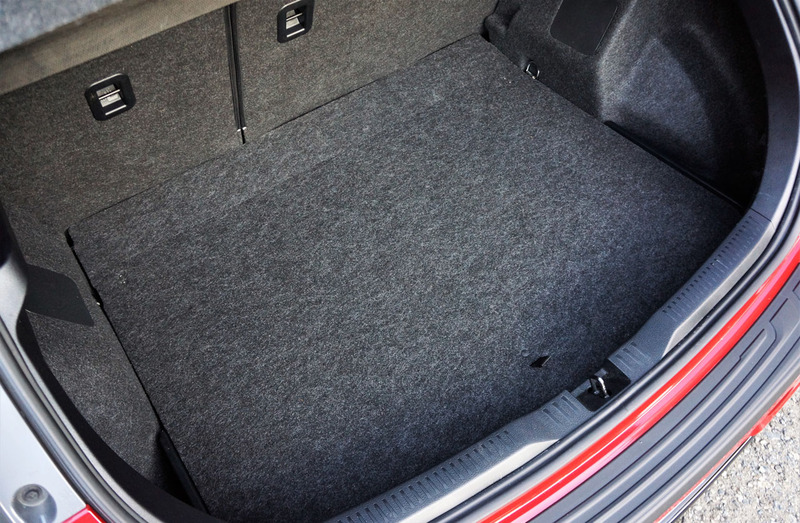 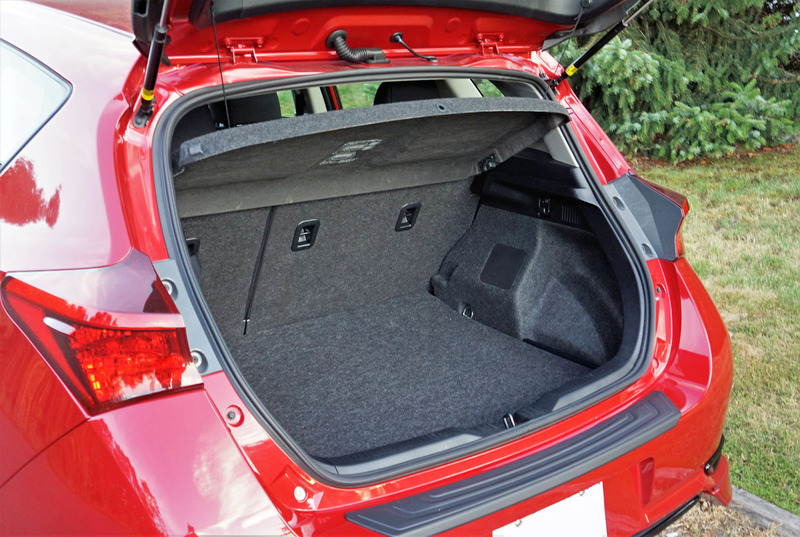 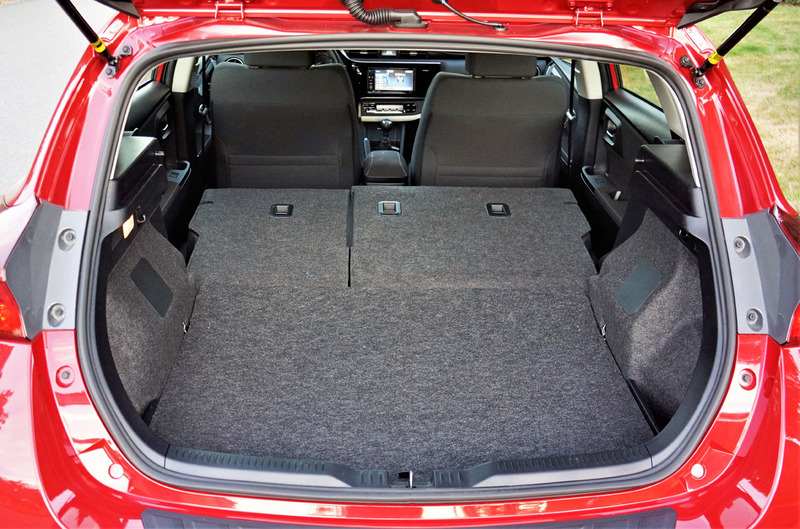 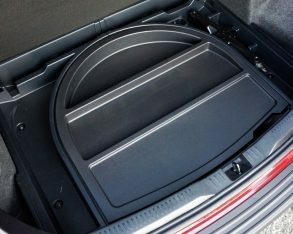 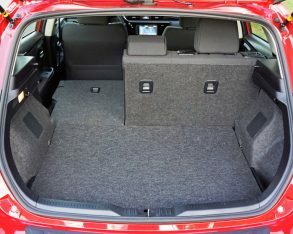 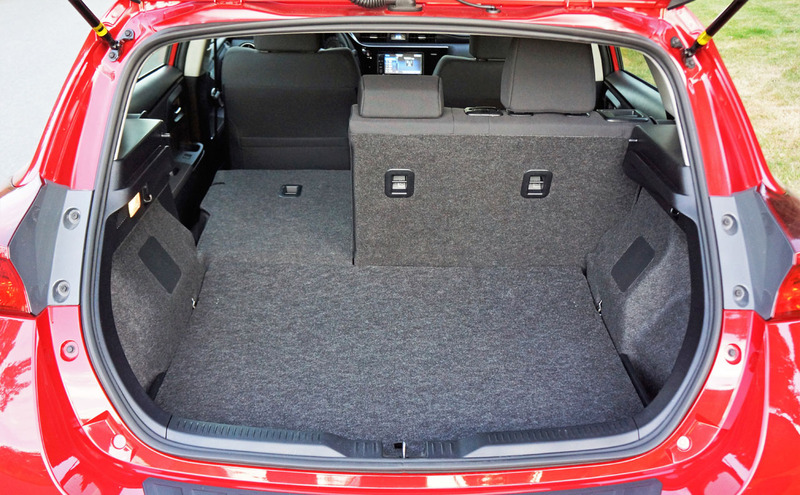 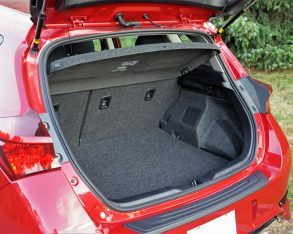 Toyota finishes off the cargo compartment nicely, by wrapping the floor, seatbacks and sidewalls in quality carpeting, while just below the load floor is a shallow storage bin above the spare tire. 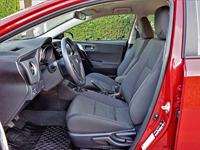 Additionally, four chromed tie-down rings are helpful for attaching a cargo net or strapping something down that might otherwise fall over during the drive. 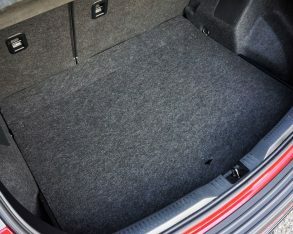 The rear seatbacks fold in the usual 60/40-split configuration, expanding the already sizeable 588-litre (20.8 cubic-foot) cargo area to a much more accommodating albeit undisclosed maximum capacity. 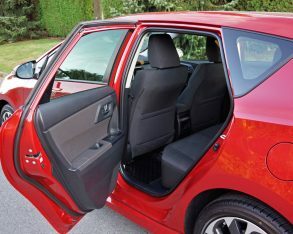 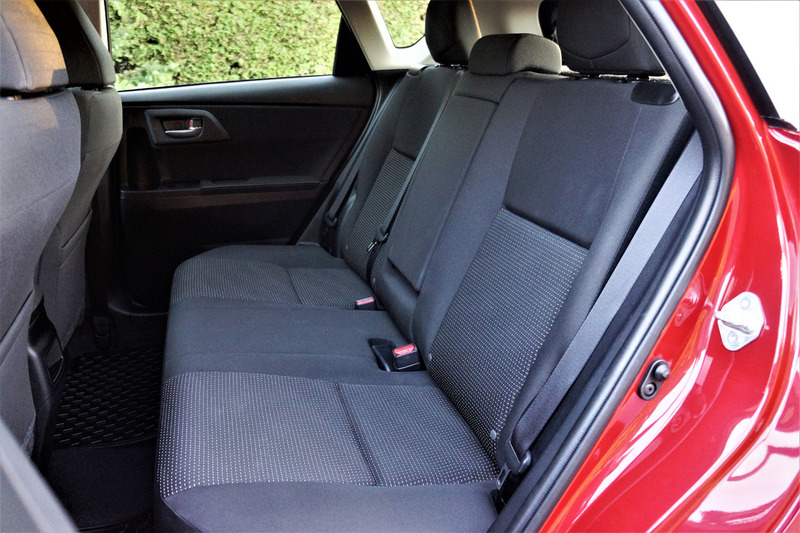 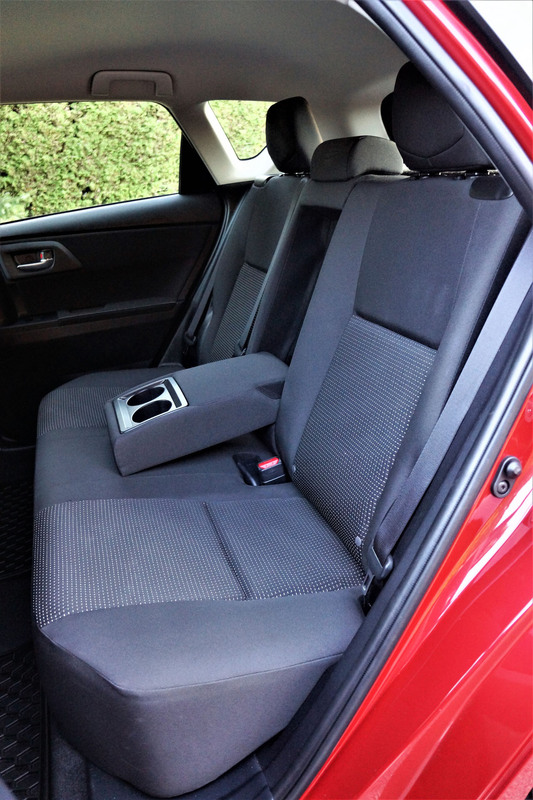 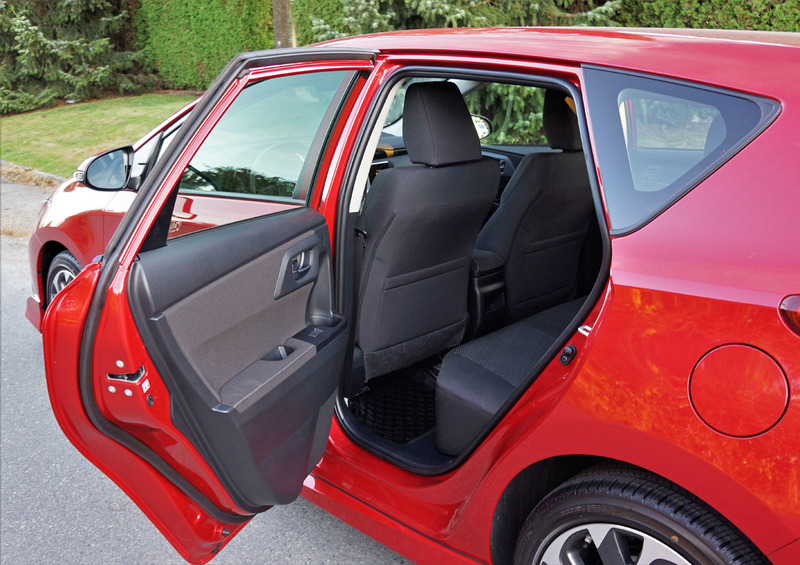 If the Corolla iM fits your size and style, I can certainly recommend it for all the other reasons just mentioned. 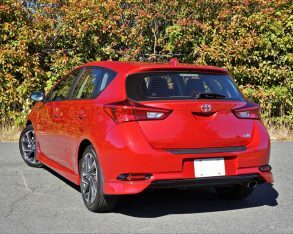 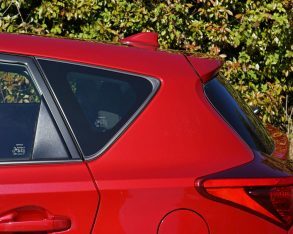 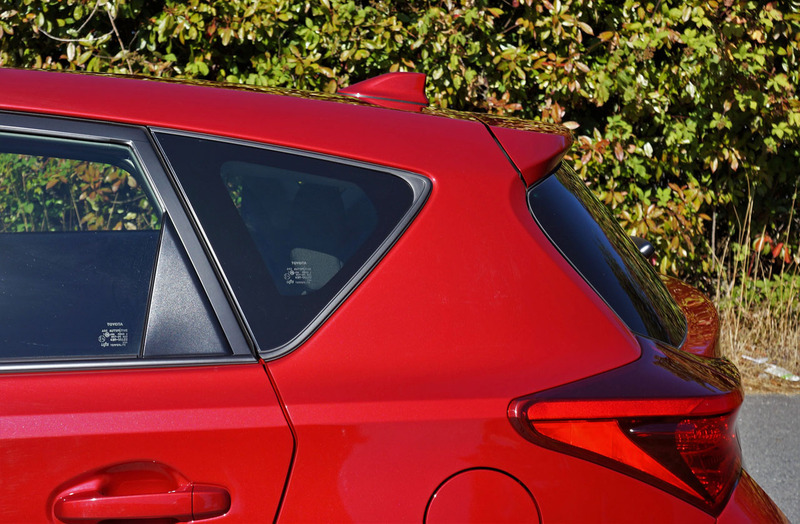 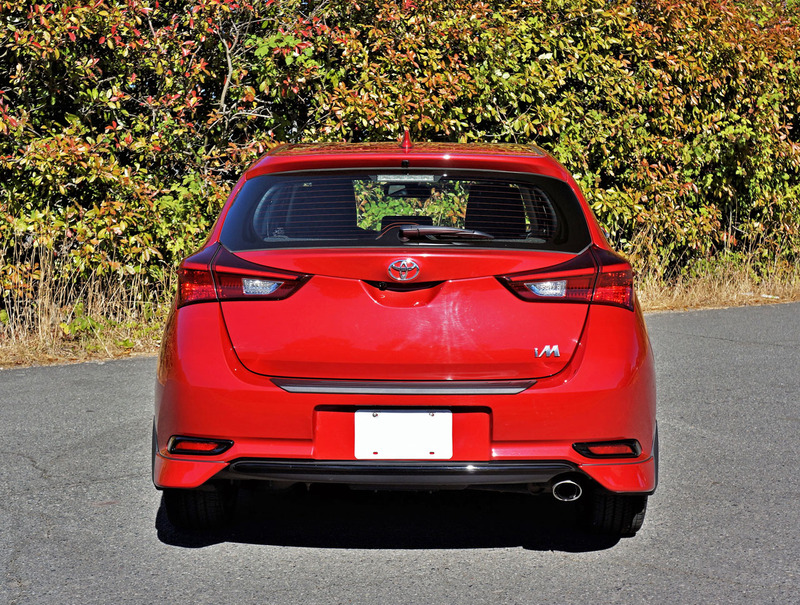 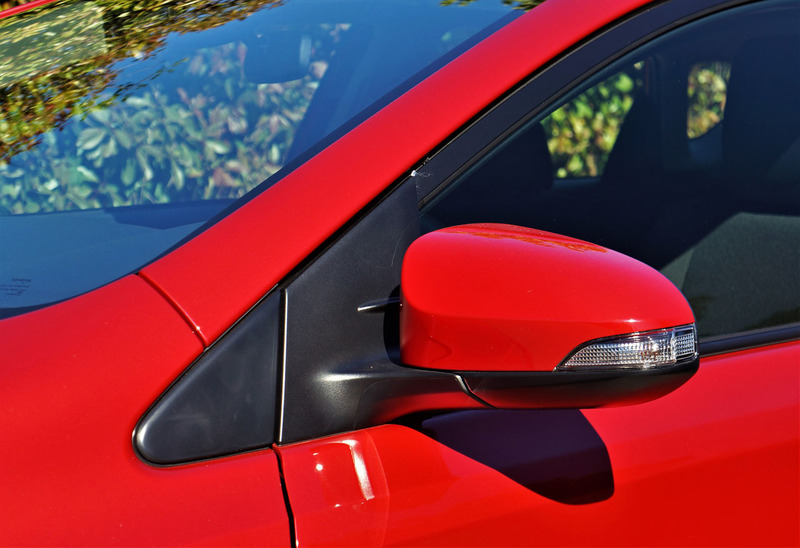 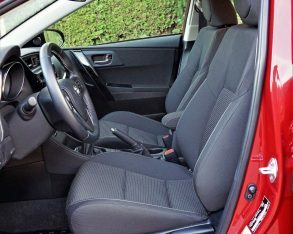 It’s a great little five-door hatchback that moves the entire compact car sector up a notch or two in materials quality and refinement, while delivering a sporty driving experience in an all-round efficient package. 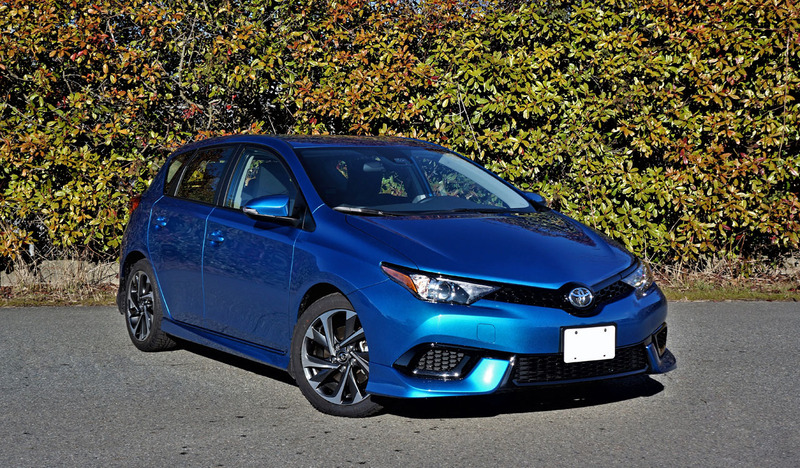 Get it while you can, or check out the new 2019 Corolla Hatchback that could’ve just as easily been given the iM moniker.